American air-launched manned spaceplane, used for hypersonic research. 174 launches, 1959.06.08 (X-15 Flight 1) to 1968.10.24 (X-15 Flight 199). The X-15 was the first USAF and NASA project for manned spaceflight, initiated years before Mercury. Status: Operational 1959. Thrust: 262.45 kN (59,000 lbf). Gross mass: 14,184 kg (31,270 lb). Unfuelled mass: 5,159 kg (11,373 lb). Specific impulse: 276 s. Height: 15.47 m (50.75 ft). Diameter: 1.42 m (4.65 ft). Span: 6.80 m (22.30 ft). Apogee: 107 km (66 mi). The X-15 was to explore the problems of ballistic flight, winged reentry, and gliding recovery from space. It was a stepping stone to later developments - either an X-15 launched atop Navaho G-26 boosters, an X-15 scramjet version, or the X-20 - that would lead to manned orbital spaceflight. This stepping-stone approach was abandoned and the crash programs of Mercury and Apollo initiated instead, using ballistic capsules for crew recovery. Once these projects were over America returned to its original course and developed the winged space shuttle as its manned spacecraft. In the joint X-15 hypersonic research program that NASA conducted with the Air Force, the Navy, and North American Aviation, Inc., the aircraft flew over a period of nearly 10 years and set the world's unofficial speed and altitude records of 4,520 mph (Mach 6.7) and 354,200 ft in a program to investigate all aspects of piloted hypersonic flight. Information gained from the highly successful X-15 program contributed to the development of the Mercury, Gemini, and Apollo piloted spaceflight programs as well as the Space Shuttle program. Manufactured by North American Aviation, Inc., three rocket-powered X-15's flew a total of 199 times, with North American (and former National Advisory Committee for Aeronautics or NACA) pilot Scott Crossfield making the first, unpowered glide flight on June 8, 1959. NASA's William H. Dana was the pilot for the final flight in the program on Oct. 24, 1968. All of these flights took place within what was called the "High Range" surrounding but mostly to the east of Edwards Air Force Base, CA, and NASA's Flight Research Center (later called the NASA Dryden Flight Research Center). There were ten other pilots in the program for a total of twelve: five from NASA, five from the Air Force, one from the Navy, and one, Crossfield, from North American. Generally, pilots used one of two types of flight profiles a speed profile that called for the pilot to maintain a level altitude until time for descent to a landing, and a high-altitude flight plan that required maintaining a steep rate of climb until reaching altitude and then descending. Because of the large fuel consumption of its rocket engine, the X-15 was air launched from a B-52 aircraft at about 45,000 ft and speeds upward of 500 mph. Depending on the mission, the rocket engine provided thrust for the first 80 to 120 seconds of flight. The remainder of the normal 8- to 12-minute flight was without power and ended in a 200-mph glide landing. Because the nose landing wheel lacked steering and the main landing gear employed skids, the X-15 had to land on a dry lakebed. The Rogers Dry Lake adjacent to Edwards and Dryden was the intended landing location for all flights, but there were numerous emergency lakebeds selected in advance for emergency landings. The X-15 was a follow-on research aircraft to the early X-planes, which had explored the flight regime from just below the speed of sound (Mach 1) to Mach 3.2. In 1952 the NACA had begun preliminary research into space flight and associated problems. Two years later, NACA's Research Airplane Projects Panel discussed the need for a new research airplane to study hypersonic and space flight. The NACA established the characteristics of what became the X-15 and presented them to the Air Force and Navy in July 1954. The two services and NACA signed a memorandum of understanding for the joint project in Dec. 1954, and the Air Force selected North American to develop three X-15 research aircraft in Sept.1955. A North American team headed by Chief Project Engineer Charles Feltz designed the aircraft, with technical guidance from the NACA's Langley Aeronautical Laboratory (later NASA's Langley Research Center) and High-Speed Flight Station (as Dryden was then called). Although the number two aircraft was later modified, the basic X-15 was a single-seat, mid-wing monoplane designed to explore the areas of high aerodynamic heating rates, stability and control, physiological phenomena, and other problems relating to hypersonic flight (above Mach 5). Because the Reaction Motors Division of Thiokol Chemical Corp. did not have the throttleable XLR-99 engine ready for the early flights of the aircraft, the X-15 initially flew with two XLR-11 engines, producing a thrust of 16,380 lb. Once the XLR-99 was installed, the thrust became 57,000 lb. The X-15 used conventional aerodynamic controls for flight in the dense air of the usable atmosphere. The controls consisted of rudder surfaces on the vertical stabilizers to control yaw (movement of the nose left or right) and canted horizontal surfaces on the tail to control pitch (nose up and down) when moving in synchronization or roll when moved differentially. For flight in the thin air outside the Earth's atmosphere, the X-15 used a reaction control system. Hydrogen peroxide thrust rockets on the nose of the aircraft provided pitch and yaw control. Those on the wings furnished roll control. The outer skin of the X-15 consisted of a nickel-chrome alloy called Inconel X, employed in a heat sink structure to withstand the results of aerodynamic heating when the aircraft was flying within the atmosphere. The cabin was made of aluminum and was isolated from the outer structure to keep it cool. The first X-15 arrived at the NASA High-Speed Flight Station in the early months of 1959, and Scott Crossfield, who had helped with the design of the aircraft, soon began the contractor demonstration flights. During its research program, the aircraft set unofficial world speed and altitude records of 4,520 mph (Mach 6.7 on Oct. 3, 1967, with Air Force pilot Pete Knight at the controls) and 354,200 ft (on Aug. 22, 1963, with NASA pilot Joseph Walker in the cockpit). More important than records, however, were the X-15's probing of hypersonic aerodynamic performance and heating rates, research into structural behavior during high heating and high flight loads, study of hypersonic stability and control during exit from and reentry of the atmosphere, and examination of pilot performance and physiology. The distinguished Langley aeronautical researcher John Becker, who had been an early advocate of the X-15 program, identified 25 specific accomplishments of the effort. First application of hypersonic theory and wind tunnel work to an actual flight vehicle. First use of reaction controls for attitude control in space. First reusable superalloy structure capable of with- standing the temperatures and thermal gradients of hypersonic reentry. Development of (a servo-actuated ball) nose flow direction sensor for operation over an extreme range of dynamic pressure and a stagnation air temperature of 1,900 deg F (for accurate measurement of air speed and flow angle at supersonic and hypersonic speeds). Development of the first practical full pressure suit for pilot protection in space. Development of inertial flight data systems capable of functioning in a high dynamic pressure and space environment. Discovery that hypersonic boundary layer flow was turbulent and not laminar. Discovery that turbulent heating rates were significantly lower than had been predicted by theory. First direct measurement of hypersonic aircraft skin friction and discovery that skin friction was lower than had been predicted. Discovery of hot spots generated by surface irregularities. (These last four discoveries led to improved design tools for future hypersonic vehicles, including the Space Shuttle.) Discovery of methods to correlate base drag measurements with tunnel test results so as to correct wind tunnel data (and thereby improve design criteria for future air-and spacecraft). Demonstration of a pilot's ability to control a rocket boosted aerospace vehicle through atmospheric exit. Successful transition from aerodynamic controls to reaction controls and back again. First application of energy-management techniques for the positioning of the vehicle for landing; these were essential for the landing of the Space Shuttle and all future reusable launch vehicles following their reentry from space.) Use of the three X-15 aircraft as testbeds to carry a wide variety of experimental packages. These experiments -28 of them- ranged from astronomy to micrometeorite collection. They included tests of horizon definition and proposed insulation that bore fruit in the navigation equipment and thermal protection used on the Saturn launch vehicles in the Apollo program, which dispatched 12 astronauts to the moon and back. Among the 12 was Neil Armstrong, the first human to step on the moon's surface and a former X-15 pilot who also flew many other research aircraft at the Flight Research Center. In the area of physiology, researchers learned that the heart rates of X-15 pilots ranged from 145 to 185 beats per minute during flight. This greatly exceeded the normal 70 to 80 beats per minute experienced on test missions for other aircraft. The cause of the difference proved to be the stress X-15 pilots encountered during prelaunch in anticipation of each mission. As it turned out, the higher rates proved typical for the future physiological behavior of pilot- astronauts. More intangibly but no less importantly, in the words of John Becker, the X-15 project led to "the acquisition of new piloted aerospace flight 'know how' by many teams in government and industry. They had to learn to work together, face up to unprecedented problems, develop solutions, and make this first manned (today, we would say piloted) aerospace project work. These teams were an important national asset in the ensuing space programs." As the partial list of accomplishments suggests, the X-15 brilliantly achieved its basic purpose of supporting piloted hypersonic flight within and outside the Earth's atmosphere. In addition, it carried out the "explorations to separate the real from the imagined problems and to make known the overlooked and the unexpected problems" that Hugh Dryden had called for in 1956 when the X-15 was still in the design and development phase. Except for the number two X-15 when modified as the X-15A-2, the X-15's were roughly 50 ft long, with a 22-ft wing span. The wedge-shaped vertical tail was 13 ft high. Because the lower vertical tail extended below the landing skids when they were deployed, a part of the lower vertical tail was jettisoned just before landing and recovered by a parachute. The aircraft was powered by a Thiokol (Reaction Motors Division) XLR-99 throttleable rocket engine powered by anhydrous ammonia and liquid oxygen. It provided a maximum thrust of 57,000 lb and a minimum thrust of 28,000 lb. Launch weight of the aircraft was 31,275 lb, decreasing to 12,295 lb at burnout. The X-15A-2, modified from the number two aircraft and delivered to NASA in February 1964, included among other new features, a 28-in. fuselage extension to carry liquid hydrogen for a supersonic combustion ramjet that was flown (as a dummy) but never tested. It also had external tanks for liquid ammonia and liquid oxygen. These tanks provided roughly 60 seconds of additional engine burn and were used on the aircraft's Mach 6.7 flight. While adding to the speed the X-15 did achieve, the tanks also increased the aircraft's weight to almost 57,000 lb and added significantly to the drag experienced by the aircraft in flight. The X-15 had its share of emergency landings and accidents, but only two produced serious injuries or death. On Nov. 9, 1962, Jack McKay experienced an engine failure and landed at Mud Lake, NV. The landing gear collapsed, flipping him and the aircraft on its back. Although he recovered from his injuries sufficiently to fly again, he eventually had to retire because of them. On Nov. 15, 1967, on Michael Adams seventh flight, he entered a spin from which he was able to recover but could not bring it out of an inverted dive because of a technical problem with the adaptive flight control system. He died in the resultant crash of the X-15 number three. Crew Size: 1. Spacecraft delta v: 1,830 m/s (6,000 ft/sec). Stage 0. 1 x NB-52. Gross Mass: 177,273 kg (390,820 lb). Empty Mass: 70,545 kg (155,525 lb). Thrust (vac): 430.472 kN (96,774 lbf). Isp: 5,142 sec. Burn time: 48,000 sec. Isp(sl): 4,675 sec. Diameter: 14.72 m (48.29 ft). Span: 56.40 m (185.00 ft). Length: 47.74 m (156.62 ft). Propellants: Air/Kerosene. No Engines: 8. Engine: J57-19. Status: Out of Production. Comments: Boeing Bomber-swept wing. Maximum release conditions: Wing mounted, 25,000 kg (19.1 m length x 6.7 m span) at 880 kph at 11,448 m altitude. Stage 2. 1 x X-15A. Gross Mass: 14,184 kg (31,270 lb). Empty Mass: 5,158 kg (11,371 lb). Thrust (vac): 262.445 kN (59,000 lbf). Isp: 276 sec. Burn time: 90 sec. Isp(sl): 239 sec. Diameter: 1.42 m (4.65 ft). Span: 6.80 m (22.30 ft). Length: 15.32 m (50.26 ft). Propellants: Lox/Ammonia. No Engines: 1. Engine: XLR-99. Status: Out of Production. X-15B American manned spacecraft. Study 1958. North American's proposal for the Air Force initial manned space project was to extend the X-15 program. The X-15B was a 'stripped' X-15A with an empty mass of 4500 kg. X-15 Flight 62 First rocketplane to reach space (USAF definition). FAI world altitude record. Maximum Speed - 6166 kph. Maximum Altitude - 95940 m. First astronaut wings flight (USAF definition). X-15 Flight 77 First civilian flight above 80 km. Maximum Speed - 5917 kph. Maximum Altitude - 82810 m. Second astronaut wings flight (USAF definition). X-15 Flight 87 Maximum Speed - 5511 kph. Maximum Altitude - 86870 m. Third astronaut wings flight (USAF definition). X-15 Flight 90 First rocketplane to reach space (FAI definition). Maximum Speed - 5969 kph. Maximum Altitude - 106010 m. Astronaut wings flight. 80 cm diameter balloon dragged on 30 m line to measure air density. Fourth astronaut wings flight (USAF definition). X-15 Flight 91 Unofficial world altitude record. Maximum Speed - 6105 kph. Maximum Altitude - 107960 m. Second X-15 astronaut flight (FAI definition); fifth astronaut wings flight (USAF definition). X-15A-2 American manned spaceplane. The crash-damaged X-15 number 2 was rebuilt to attain even higher speeds. The body frame was stretched, and two drop tanks were added, increasing propellant load by 75%. Reached Mach 6.7 and 108 km altitude. X-15 Flight 138 Maximum Speed - 5522 kph. Maximum Altitude - 85527 m. Astronaut wings flight (USAF definition). X-15 Flight 143 Maximum Speed - 5712 kph. Maximum Altitude - 82601 m. Astronaut wings flight (USAF definition). X-15 Flight 150 Maximum Speed - 6005 kph. Maximum Altitude - 90099 m. Astronaut wings flight (USAF definition). X-15 Flight 153 Maximum Speed - 5718 kph. Maximum Altitude - 81230 m. Astronaut wings flight (USAF definition). X-15 Flight 174 Maximum Speed - 6034 kph. Maximum Altitude - 93540 m. Astronaut wings flight (USAF definition). X-15 Flight 190 Maximum Speed - 6204 kph. Maximum Altitude - 85500 m. Astronaut wings flight (USAF definition). 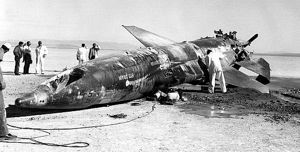 X-15 Flight 191 Fatal accident, aircraft destroyed. After reaching peak altitude, entered spin at Mach 5. Entered dive at 30,000 m, began high frequency pitch oscillations, disintegrated when these reached 15 Gs. Maximum Speed - 5744 kph. Maximum Altitude - 81080 m.
X-15 Flight 197 Maximum Speed - 5540 kph. Maximum Altitude - 81530 m. Astronaut wings flight (USAF definition). X-15A-3 American manned spaceplane. Cancelled 1962. It had been proposed that X-15 number 3 would be reworked to install a delta wing and designed to reach Mach 8. X-15A (XLR-11 powered) Original test version of X-15A with XLR-11 rocket motor in lieu of delayed design motor. X-15A-2 with external tanks Stretched X-15A with drop tanks for greater altitude and speed. Family: aircraft-launched, Rocketplane, Spaceplane, Suborbital, US Rocketplanes. Country: USA. Engines: J57-19, XLR99. Spacecraft: X-15A. Launch Vehicles: X-15. Propellants: Lox/Ammonia. Stages: NB-52, X-15A stage. Agency: USAF, North American. Bibliography: 17, 18, 22, 38, 4304, 4305, 4306, 4307, 4308, 4309, 4310, 4311, 4313, 4314, 4315, 4316, 4317, 4318, 4319, 4320, 4321, 4322, 4323, 4324, 4325, 4326, 4327, 4328, 4329, 4330, 4331, 4332, 4380, 459, 483. 1952 January 30 - . NACA manned space flight test vehicle within 2 years. - . Nation: USA. Spacecraft: X-15A. An NACA report was issued covering several projects and proposals for the flight of manned and unmanned vehicles to altitudes above the earth where atmospheric density was very low. The substance of these reports was presented at the June 24, 1952, meeting of the Committee on Aerodynamics. After the presentation, committee member Robert J. Woods recommended that basic research be initiated on the problems of space flight and stated that the NACA was the logical organization to carry on this work. To accomplish this task, a small working group was established to analyze the available information on the subject of space flight. The objective of this group was to arrive at a concept of a suitable manned test vehicle that could be constructed within 2 years. 1952 June 24 - . NACA to increase research on flight to 50 miles/Mach 10. - . Nation: USA. Spacecraft: X-15A. 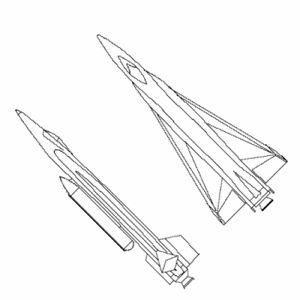 The NACA Committee on Aerodynamics recommended that NACA increase its research efforts on the problem of manned and unmanned flight at altitudes between 12 and 50 miles and at speeds of mach 4 through 10. As a result of this recommendation, the Langley Aeronautical Laboratory began preliminary studies on this project and immediately identified several problem areas. Two of these areas were aerodynamic heating and the achievement of stability and control at very high altitudes and speeds. Of the two, Langley considered aerodynamic heating to be the more serious, and, until this problem was resolved, the design of practical spacecraft impractical. 1953 July 30 - . Langley study of the problems of manned space flight. - . Nation: USA. Spacecraft: X-15A. Preliminary studies were completed by C. E. Brown, W. J. O'Sullivan, Jr., and C. H. Zimmerman at the Langley Aeronautical Laboratory relative to the study of the problems of manned space flight and a suggested test vehicle to investigate these problems. One of the possibilities considered from the outset of the effort in mid-1952 was modification of the X-2 airplane to attain greater speeds and altitudes of the order of 200,000 feet. It was believed that such a vehicle could not only resolve some of the aerodynamic heating problems, but also that the altitude objective would provide an environment with a minimum atmospheric density, representing many problems of outer space flight. However, there was already a feeling among many NACA scientists that the speed and altitude exploratory area should be raised. In fact, a resolution to this effect, presented as early as July 1952, stated that '. . . the NACA devote . . . effort to problems of unmanned and manned flights at altitudes from 50 miles to infinity and at speeds from mach 10 to the velocity of escape from the earth's gravity.' The Executive Committee of NACA actually adopted this resolution as an objective on July 14, 1952. X-15 rocket aircraft specifications - . Nation: USA. Spacecraft: X-15A. The NACA determined the characteristics of what later became the X-15 rocket aircraft, one of the steps to manned space flight..
NACA established the characteristics of the X-15 and presented them to the Air Force and Navy - . Nation: USA. Spacecraft: X-15A. The two services and NACA signed a memorandum of understanding for the joint project in Dec. 1954. In 1952 the NACA had begun preliminary research into space flight and associated problems..
X-15 project begun. - . Nation: USA. Program: X-15A. Class: Manned. Type: Manned spaceplane. Spacecraft: X-15A. NACA met with USAF and Navy BuAer representatives to propose the X-15 as an extension of the cooperative rocket research aircraft program. The NACA proposal was accepted as a joint effort and a memorandum of understanding was signed on December 23 naming NACA as technical director of the project, with advice from a joint Research Airplane Committee. Memorandum of understanding initiates the X-15 project. - . Nation: USA. Spacecraft: X-15A. After 2 years' study of problems that might be encountered in manned space flight, a joint group - NACA, Air Force, and Navy - met in Washington to discuss the need for a hypersonic research vehicle and to decide on the type of aircraft that could attain these objectives. The NACA proposal was accepted in December 1954, and a formal memorandum of understanding was signed to initiate the X-15 project. Technical direction of the project was assigned to the NACA. On November 9, 1961, the X-15 reached its design speed of over 4,000 miles per hour and achieved partial space conditions on July 17, 1962, when it reached an altitude of 314,750 feet. By the latter date, the Mercury spacecraft had made two manned orbital flights. Air Force selected North American to develop and build three X-15 research aircraft. - . Nation: USA. Spacecraft: X-15A. A North American team, headed by Chief Project Engineer Charles Feltz, designed the aircraft, with technical guidance from the NACA's Langley Aeronautical Laboratory and High-Speed Flight Station..
1957 April 23 - . X-15 first public details announced. - . Nation: USA. Program: X-15A. Class: Manned. Type: Manned spaceplane. Spacecraft: X-15A. Details of X-15 rocket research airplane were publicly revealed for the first time..
1958 February 27 - . NACA estimated weights for manned reentry vehicle too low. - . Nation: USA. Spacecraft: Mercury, X-15A. Experience with the X-15 design indicated that many of the weight figures advanced by the Langley Aeronautical Laboratory for the drag or lift configurations of the reentry vehicle (later to become the Mercury spacecraft) were too low, according to Walter C. Williams, Chief of the NACA High-Speed Flight Station. Weights of auxiliary-power fuel, research instrumentation, and cockpit equipment as set by Langley were too low in terms of X-15 experience. Williams stated the total weight should be 2,300 pounds for the drag configuration and 2,500 pounds for the lifting configuration. 1958 July 18 - . NASA heritage from NACA. - . Nation: USA. Spacecraft: Mercury, X-15A. In a memorandum to Dr. James R. Killian, Jr., Special Assistant to the President for Science and Technology, Dr. Hugh L. Dryden, Director of NACA, pointed out that NASA would inherit from NACA a rich technical background, competence, and leadership in driving toward the objective of a manned satellite program. For years NACA groups had been involved in research on such items as stabilization of ultra-high speed vehicles, provision of suitable controls, high temperature structural designs, and all the problems of reentry. In fact, a part of this work had been directed specifically toward the problem of designing a manned satellite. Also, the X-15 program had provided much experience in human factors applicable to the orbital flight of man. Therefore, Dr. Dryden concluded, in consonance with the intent of the Space Act of 1958, the assignment of the program to the NACA would be consistent. 1958 October 15 - . X-15 rollout. - . Nation: USA. Program: X-15A. Class: Manned. Type: Manned spaceplane. Spacecraft: X-15A. First of a series of three X-15 experimental rocket-powered manned research aircraft was rolled out at the Los Angeles plant of North American Aviation, Inc., in the joint USAF-USN-NASA program..
1959 March 10 - . Launch Site: Edwards. Launch Complex: Edwards RW04/22. Launch Pad: Edwards. Launch Platform: NB-52 003. X-15A test - . Nation: USA. Agency: NASA, USAF. Spacecraft: X-15A. Apogee: 11 km (6 mi). X-15 captive flight. 1959 April 1 - . Launch Site: Edwards. Launch Complex: Edwards RW04/22. Launch Pad: Edwards. Launch Platform: NB-52 003. FAILURE: Failure. X-15A aborted launch. - . Nation: USA. Agency: NASA, USAF. Spacecraft: X-15A. Apogee: 11 km (6 mi). 1959 April 10 - . Launch Site: Edwards. Launch Complex: Edwards RW04/22. Launch Pad: Edwards. Launch Platform: NB-52 003. FAILURE: Failure. 1959 May 21 - . Launch Site: Edwards. Launch Complex: Edwards RW04/22. Launch Pad: Edwards. Launch Platform: NB-52 003. FAILURE: Failure. 1959 June 8 - . 16:38 GMT - . Launch Site: Edwards. Launch Complex: Rosamund Dry Lake DZ. Launch Pad: Edwards RW04/22. Launch Platform: NB-52 003. X-15A test - . Nation: USA. Agency: NASA, USAF. Spacecraft: X-15A. Apogee: 11 km (6 mi). First flight for X-15 # 1. Planned glide flight. Maximum Speed - 840 kph. Maximum Altitude - 11445 m. Air dropped in Rosamund Dry Lake DZ..
1959 July 24 - . Launch Site: Edwards. Launch Complex: Edwards RW04/22. Launch Pad: Edwards. Launch Platform: NB-52 003. X-15A test - . Nation: USA. Agency: NASA, USAF. Spacecraft: X-15A. Apogee: 14 km (8 mi). X-15 captive flight. 1959 September 4 - . Launch Site: Edwards. Launch Complex: Edwards RW04/22. Launch Pad: Edwards. Launch Platform: NB-52 003. FAILURE: Failure. X-15A aborted launch. - . Nation: USA. Agency: NASA, USAF. Spacecraft: X-15A. Apogee: 14 km (8 mi). 1959 September 17 - . 16:08 GMT - . Launch Site: Edwards. Launch Complex: Rosamund Dry Lake DZ. Launch Pad: Edwards RW04/22. Launch Platform: NB-52 003. FAILURE: Turbopump failure and fire..
X-15A test - . Nation: USA. Agency: NASA, USAF. Spacecraft: X-15A. Apogee: 15 km (9 mi). First flight for X-15 # 2. First powered flight. Maximum Speed - 2241 kph. Maximum Altitude - 15954 m. Turbopump case failure resulted in fire in engine compartment. Air dropped in Rosamund Dry Lake DZ..
1959 October 10 - . Launch Site: Edwards. Launch Complex: Edwards RW04/22. Launch Pad: Edwards. Launch Platform: NB-52 003. FAILURE: Failure. 1959 October 14 - . Launch Site: Edwards. Launch Complex: Edwards RW04/22. Launch Pad: Edwards. Launch Platform: NB-52 003. FAILURE: Failure. 1959 October 17 - . 18:13 GMT - . Launch Site: Edwards. Launch Complex: Rosamund Dry Lake DZ. Launch Pad: Edwards RW04/22. Launch Platform: NB-52 003. FAILURE: Fire in engine bay, gear door failure..
X-15A test - . Nation: USA. Agency: NASA, USAF. Spacecraft: X-15A. Apogee: 18 km (11 mi). Maximum Speed - 2283 kph. Maximum Altitude - 18831 m. Nose gear door failed on landing. Air dropped in Rosamund Dry Lake DZ..
1959 October 22 - . Launch Site: Edwards. Launch Complex: Edwards RW04/22. Launch Pad: Edwards. Launch Platform: NB-52 003. FAILURE: Failure. 1959 October 31 - . Launch Site: Edwards. Launch Complex: Edwards RW04/22. Launch Pad: Edwards. Launch Platform: NB-52 003. FAILURE: Failure. 1959 November 5 - . 17:39 GMT - . Launch Site: Edwards. Launch Complex: Rosamund Dry Lake DZ. Launch Pad: Edwards RW04/22. Launch Platform: NB-52 003. FAILURE: Engine fire and explosion, fuselage failure on landing..
X-15A test - . Nation: USA. Agency: NASA, USAF. Spacecraft: X-15A. Apogee: 13 km (8 mi). Engine fire; fuselage structural failure on landing. Aircraft returned to North American for rebuild. Maximum Speed - 1062 kph. Maximum Altitude - 13857 m. Air dropped in Rosamund Dry Lake DZ..
1959 December 16 - . Launch Site: Edwards. Launch Complex: Edwards RW04/22. Launch Pad: Edwards. Launch Platform: NB-52. FAILURE: Failure. 1960 January 24 - . 00:17 GMT - . Launch Site: Edwards. Launch Complex: Rosamund Dry Lake DZ. Launch Pad: Edwards RW04/22. Launch Platform: NB-52 008. X-15A SAS Evaluation test - . Nation: USA. Agency: NASA, USAF. Spacecraft: X-15A. Apogee: 20 km (12 mi). Maximum Speed - 2685 kph. Maximum Altitude - 20374 m. Air dropped in Rosamund Dry Lake DZ..
1960 February 4 - . Launch Site: Edwards. Launch Complex: Edwards RW04/22. Launch Pad: Edwards. Launch Platform: NB-52. FAILURE: Failure. 1960 February 11 - . 18:15 GMT - . Launch Site: Edwards. Launch Complex: Rosamund Dry Lake DZ. Launch Pad: Edwards RW04/22. Launch Platform: NB-52 008. X-15A test - . Nation: USA. Agency: NASA, USAF. Spacecraft: X-15A. Apogee: 26 km (16 mi). Maximum Speed - 2359 kph. Maximum Altitude - 26858 m. Air dropped in Rosamund Dry Lake DZ..
1960 February 17 - . 17:41 GMT - . Launch Site: Edwards. Launch Complex: Rosamund Dry Lake DZ. Launch Pad: Edwards RW04/22. Launch Platform: NB-52 008. X-15A SAS Evaluation test - . Nation: USA. Agency: NASA, USAF. Spacecraft: X-15A. Apogee: 16 km (9 mi). Maximum Speed - 1667 kph. Maximum Altitude - 16045 m. Automatic shutdown of one chamber in upper XLR-11. Air dropped in Rosamund Dry Lake DZ..
1960 March 17 - . 16:31 GMT - . Launch Site: Edwards. Launch Complex: Rosamund Dry Lake DZ. Launch Pad: Edwards RW04/22. Launch Platform: NB-52 008. X-15A SAS Eval/Stability test - . Nation: USA. Agency: NASA, USAF. Spacecraft: X-15A. Apogee: 16 km (9 mi). Maximum Speed - 2283 kph. Maximum Altitude - 16045 m. 6G maneuver test. Air dropped in Rosamund Dry Lake DZ..
1960 March 18 - . Launch Site: Edwards. Launch Complex: Edwards RW04/22. Launch Pad: Edwards. Launch Platform: NB-52 008. FAILURE: Failure. 1960 March 25 - . 23:43 GMT - . Launch Site: Edwards. Launch Complex: Rosamund Dry Lake DZ. Launch Pad: Edwards RW04/22. Launch Platform: NB-52 008. X-15A test - . Nation: USA. Agency: NASA, USAF. Spacecraft: X-15A. Apogee: 14 km (8 mi). Maximum Speed - 2124 kph. Maximum Altitude - 14822 m. Roll damper malfunctioned. Air dropped in Rosamund Dry Lake DZ..
1960 March 29 - . 17:59 GMT - . Launch Site: Edwards. Launch Complex: Rosamund Dry Lake DZ. Launch Pad: Edwards RW04/22. Launch Platform: NB-52 008. X-15A test - . Nation: USA. Agency: NASA, USAF. Spacecraft: X-15A. Apogee: 15 km (9 mi). Maximum Speed - 2080 kph. Maximum Altitude - 15235 m. Air dropped in Rosamund Dry Lake DZ..
1960 March 31 - . 16:42 GMT - . Launch Site: Edwards. Launch Complex: Rosamund Dry Lake DZ. Launch Pad: Edwards RW04/22. Launch Platform: NB-52 008. X-15A SAS Gains test - . Nation: USA. Agency: NASA, USAF. Spacecraft: X-15A. Apogee: 15 km (9 mi). Maximum Speed - 2156 kph. Maximum Altitude - 15653 m. 3.5 to 5G pullouts to simulate reentry. Air dropped in Rosamund Dry Lake DZ..
1960 April 13 - . 17:15 GMT - . Launch Site: Edwards. Launch Complex: Rosamund Dry Lake DZ. Launch Pad: Edwards RW04/22. Launch Platform: NB-52 003. X-15A test - . Nation: USA. Agency: NASA, USAF. Spacecraft: X-15A. Apogee: 14 km (8 mi). Maximum Speed - 2018 kph. Maximum Altitude - 14630 m. Air dropped in Rosamund Dry Lake DZ..
1960 April 19 - . 16:51 GMT - . Launch Site: Edwards. Launch Complex: Rosamund Dry Lake DZ. Launch Pad: Edwards RW04/22. Launch Platform: NB-52 003. X-15A test - . Nation: USA. Agency: NASA, USAF. Spacecraft: X-15A. Apogee: 18 km (11 mi). Maximum Speed - 2718 kph. Maximum Altitude - 18134 m. Air dropped in Rosamund Dry Lake DZ..
1960 May 5 - . Launch Site: Edwards. Launch Complex: Edwards RW04/22. Launch Pad: Edwards. Launch Platform: NB-52 008. FAILURE: Failure. 1960 May 6 - . 17:53 GMT - . Launch Site: Edwards. Launch Complex: Rosamund Dry Lake DZ. Launch Pad: Edwards RW04/22. Launch Platform: NB-52 003. FAILURE: Trouble shedding the ventral fin..
X-15A test - . Nation: USA. Agency: NASA, USAF. Spacecraft: X-15A. Apogee: 18 km (11 mi). Maximum Speed - 2336 kph. Maximum Altitude - 18574 m. Air dropped in Rosamund Dry Lake DZ..
1960 May 12 - . 16:47 GMT - . Launch Site: Edwards. Launch Complex: Silver Lake DZ. Launch Pad: Edwards RW04/22. Launch Platform: NB-52 003. X-15A test - . Nation: USA. Agency: NASA, USAF. Spacecraft: X-15A. Apogee: 23 km (14 mi). Maximum Speed - 3397 kph. Maximum Altitude - 23738 m. Air dropped in Silver Lake DZ..
1960 May 19 - . 16:46 GMT - . Launch Site: Edwards. Launch Complex: Silver Lake DZ. Launch Pad: Edwards RW04/22. Launch Platform: NB-52 003. X-15A Alt Buildup test - . Nation: USA. Agency: NASA, USAF. Spacecraft: X-15A. Apogee: 33 km (20 mi). Maximum Speed - 2558 kph. Maximum Altitude - 33222 m. Air dropped in Silver Lake DZ..
1960 May 26 - . 17:08 GMT - . Launch Site: Edwards. Launch Complex: Rosamund Dry Lake DZ. Launch Pad: Edwards RW04/22. Launch Platform: NB-52 008. X-15A SAS, High alpha, BCS test - . Nation: USA. Agency: NASA, USAF. Spacecraft: X-15A. Apogee: 15 km (9 mi). Maximum Speed - 2336 kph. Maximum Altitude - 15631 m. First test of reaction control system. Air dropped in Rosamund Dry Lake DZ..
1960 May 27 - . Launch Site: Edwards. Launch Complex: Edwards RW04/22. Launch Pad: Edwards. Launch Platform: NB-52 003. FAILURE: Failure. 1960 June 3 - . Launch Site: Edwards. Launch Complex: Edwards RW04/22. Launch Pad: Edwards. Launch Platform: NB-52 003. FAILURE: Failure. 1960 June 8 - . Launch Site: Edwards. Launch Complex: Edwards RW04/22. Launch Pad: Edwards. Launch Platform: NB-52 003. FAILURE: Failure. 1960 August 4 - . 16:59 GMT - . Launch Site: Edwards. Launch Complex: Silver Lake DZ. Launch Pad: Edwards RW04/22. Launch Platform: NB-52 003. X-15A test - . Nation: USA. Agency: NASA, USAF. Spacecraft: X-15A. Apogee: 23 km (14 mi). Maximum Speed - 3533 kph. Maximum Altitude - 23809 m. Unofficial world speed record. This topped Captain Apt's speed of 2,094 mph attained in the X-2 on September 27, 1956. Air dropped in Silver Lake DZ..
1960 August 11 - . Launch Site: Edwards. Launch Complex: Edwards RW04/22. Launch Pad: Edwards. Launch Platform: NB-52 003. FAILURE: Failure. 1960 August 12 - . 16:48 GMT - . Launch Site: Edwards. Launch Complex: Silver Lake DZ. Launch Pad: Edwards RW04/22. Launch Platform: NB-52 003. X-15A High Alt test - . Nation: USA. Agency: NASA, USAF. Spacecraft: X-15A. Apogee: 41 km (25 mi). Maximum Speed - 2851 kph. Maximum Altitude - 41605 m. Established a new altitude record for a manned vehicle of 136,500 feet. This topped Captain Kincheloe's record altitude of 126,200 feet attained on September 7, 1956, in the X-2 rocket research aircraft. Air dropped in Silver Lake DZ. 1960 August 18 - . Launch Site: Edwards. Launch Complex: Edwards RW04/22. Launch Pad: Edwards. Launch Platform: NB-52 003. FAILURE: Failure. 1960 August 19 - . 16:34 GMT - . Launch Site: Edwards. Launch Complex: Silver Lake DZ. Launch Pad: Edwards RW04/22. Launch Platform: NB-52 003. X-15A test - . Nation: USA. Agency: NASA, USAF. Spacecraft: X-15A. Apogee: 23 km (14 mi). Maximum Speed - 3510 kph. Maximum Altitude - 24343 m. Air dropped in Silver Lake DZ..
1960 September 2 - . Launch Site: Edwards. Launch Complex: Edwards RW04/22. Launch Pad: Edwards. Launch Platform: NB-52. FAILURE: Failure. 1960 September 10 - . 19:45 GMT - . Launch Site: Edwards. Launch Complex: Silver Lake DZ. Launch Pad: Edwards RW04/22. Launch Platform: NB-52 008. X-15A Stability/Control test - . Nation: USA. Agency: NASA, USAF. Spacecraft: X-15A. Apogee: 24 km (14 mi). X-15 Flight 21 (Stability/Control) Air dropped in Silver Lake DZ..
1960 September 20 - . Launch Site: Edwards. Launch Complex: Edwards RW04/22. Launch Pad: Edwards. Launch Platform: NB-52. FAILURE: Failure. 1960 September 23 - . 17:52 GMT - . Launch Site: Edwards. Launch Complex: Palmdale Omni DZ. Launch Pad: Edwards RW04/22. Launch Platform: NB-52 008. FAILURE: Engines fail..
X-15A test - . Nation: USA. Agency: NASA, USAF. Spacecraft: X-15A. Apogee: 16 km (9 mi). Maximum Speed - 1783 kph. Maximum Altitude - 16168 m. Premature shutdown of both XLR-11's. Air dropped in Palmdale Omni DZ..
1960 October 11 - . Launch Site: Edwards. Launch Complex: Edwards RW04/22. Launch Pad: Edwards. Launch Platform: NB-52 008. FAILURE: Failure. 1960 October 13 - . Launch Site: Edwards. Launch Complex: Edwards RW04/22. Launch Pad: Edwards. Launch Platform: NB-52. FAILURE: Failure. 1960 October 20 - . 17:30 GMT - . Launch Site: Edwards. Launch Complex: Palmdale Omni DZ. Launch Pad: Edwards RW04/22. Launch Platform: NB-52 008. X-15A Stability/Control test - . Nation: USA. Agency: NASA, USAF. Spacecraft: X-15A. Apogee: 16 km (9 mi). Maximum Speed - 2059 kph. Maximum Altitude - 16398 m. Air dropped in Palmdale Omni DZ..
1960 October 28 - . 17:43 GMT - . Launch Site: Edwards. Launch Complex: Palmdale Omni DZ. Launch Pad: Edwards RW04/22. Launch Platform: NB-52 008. X-15A Stability/Control test - . Nation: USA. Agency: NASA, USAF. Spacecraft: X-15A. Apogee: 15 km (9 mi). Maximum Speed - 2145 kph. Maximum Altitude - 15453 m. Air dropped in Palmdale Omni DZ..
1960 November 4 - . Launch Site: Edwards. Launch Complex: Edwards RW04/22. Launch Pad: Edwards. Launch Platform: NB-52. FAILURE: Failure. 1960 November 4 - . 20:43 GMT - . Launch Site: Edwards. Launch Complex: Palmdale Omni DZ. Launch Pad: Edwards RW04/22. Launch Platform: NB-52 008. X-15A Stability/Control test - . Nation: USA. Agency: NASA, USAF. Spacecraft: X-15A. Apogee: 14 km (8 mi). Maximum Speed - 2071 kph. Maximum Altitude - 14905 m. Air dropped in Palmdale Omni DZ..
1960 November 15 - . 17:59 GMT - . Launch Site: Edwards. Launch Complex: Rosamund Dry Lake DZ. Launch Pad: Edwards RW04/22. Launch Platform: NB-52 003. X-15A XLR-99 Checkout test - . Nation: USA. Agency: NASA, USAF. Spacecraft: X-15A. Apogee: 24 km (14 mi). First flight with XLR-99 engine. Maximum Speed - 3154 kph. Maximum Altitude - 24750 m. Air dropped in Rosamund Dry Lake DZ..
1960 November 17 - . 20:43 GMT - . Launch Site: Edwards. Launch Complex: Palmdale Omni DZ. Launch Pad: Edwards RW04/22. Launch Platform: NB-52 003. X-15A test - . Nation: USA. Agency: NASA, USAF. Spacecraft: X-15A. Apogee: 16 km (9 mi). Maximum Speed - 2018 kph. Maximum Altitude - 16688 m. Lower XLR-11 shutdown but restarted. Air dropped in Palmdale Omni DZ..
1960 November 22 - . 21:25 GMT - . Launch Site: Edwards. Launch Complex: Rosamund Dry Lake DZ. Launch Pad: Edwards RW04/22. Launch Platform: NB-52 003. X-15A XLR-99, BCS test - . Nation: USA. Agency: NASA, USAF. Spacecraft: X-15A. Apogee: 18 km (11 mi). First restart with XLR-99 engine. Maximum Speed - 2665 kph. Maximum Altitude - 18867 m. Air dropped in Rosamund Dry Lake DZ..
1960 November 30 - . 18:42 GMT - . Launch Site: Edwards. Launch Complex: Palmdale Omni DZ. Launch Pad: Edwards RW04/22. Launch Platform: NB-52 008. X-15A test - . Nation: USA. Agency: NASA, USAF. Spacecraft: X-15A. Apogee: 14 km (8 mi). Maximum Speed - 1858 kph. Maximum Altitude - 14886 m. Only 7 of 8 XLR-11 chambers ignited. Air dropped in Palmdale Omni DZ..
1960 December 6 - . 23:29 GMT - . Launch Site: Edwards. Launch Complex: Rosamund Dry Lake DZ. Launch Pad: Edwards RW04/22. Launch Platform: NB-52 003. X-15A XLR-99, BCS test - . Nation: USA. Agency: NASA, USAF. Spacecraft: X-15A. Apogee: 16 km (9 mi). Maximum Speed - 3027 kph. Maximum Altitude - 16268 m. Air dropped in Rosamund Dry Lake DZ..
1960 December 9 - . 19:52 GMT - . Launch Site: Edwards. Launch Complex: Palmdale Omni DZ. Launch Pad: Edwards RW04/22. Launch Platform: NB-52 008. X-15A Ball nose, Stabil. test - . Nation: USA. Agency: NASA, USAF. Spacecraft: X-15A. Apogee: 15 km (9 mi). First hot nose flight. Maximum Speed - 1911 kph. Maximum Altitude - 15269 m. Air dropped in Palmdale Omni DZ..
1960 December 15 - . Launch Site: Edwards. Launch Complex: Edwards RW04/22. Launch Pad: Edwards. Launch Platform: NB-52 008. FAILURE: Failure. 1961 January 11 - . Launch Site: Edwards. Launch Complex: Edwards RW04/22. Launch Pad: Edwards. Launch Platform: NB-52 008. FAILURE: Failure. 1961 February 1 - . 18:47 GMT - . Launch Site: Edwards. Launch Complex: Palmdale Omni DZ. Launch Pad: Edwards RW04/22. Launch Platform: NB-52 008. X-15A Ball/side controller test - . Nation: USA. Agency: NASA, USAF. Spacecraft: X-15A. Apogee: 15 km (9 mi). Maximum Speed - 1949 kph. Maximum Altitude - 15170 m. Air dropped in Palmdale Omni DZ..
1961 February 7 - . 20:56 GMT - . Launch Site: Edwards. Launch Complex: Silver Lake DZ. Launch Pad: Edwards RW04/22. Launch Platform: NB-52 008. X-15A Stab./Control test - . Nation: USA. Agency: NASA, USAF. Spacecraft: X-15A. Apogee: 23 km (14 mi). Maximum Speed - 3660 kph. Maximum Altitude - 23820 m. Last XLR-11 flight. Air dropped in Silver Lake DZ..
1961 February 21 - . Launch Site: Edwards. Launch Complex: Edwards RW04/22. Launch Pad: Edwards. Launch Platform: NB-52. FAILURE: Failure. 1961 February 24 - . Launch Site: Edwards. Launch Complex: Edwards RW04/22. Launch Pad: Edwards. Launch Platform: NB-52. FAILURE: Failure. 1961 March 7 - . 18:28 GMT - . Launch Site: Edwards. Launch Complex: Silver Lake DZ. Launch Pad: Edwards RW04/22. Launch Platform: NB-52 008. X-15A Mach 4 flight test - . Nation: USA. Agency: NASA, USAF. Spacecraft: X-15A. Apogee: 23 km (14 mi). Maximum Speed - 4674 kph. Maximum Altitude - 23610 m. Air dropped in Silver Lake DZ..
1961 March 21 - . Launch Site: Edwards. Launch Complex: Edwards RW04/22. Launch Pad: Edwards. Launch Platform: NB-52 008. FAILURE: Failure. 1961 March 30 - . 18:05 GMT - . Launch Site: Edwards. Launch Complex: Hidden Hills DZ. Launch Pad: Edwards RW04/22. Launch Platform: NB-52 008. X-15A Alt., BCS, Aero test - . Nation: USA. Agency: NASA, USAF. Spacecraft: X-15A. Apogee: 51 km (31 mi). Maximum Speed - 4441 kph. Maximum Altitude - 51700 m. Air dropped in Hidden Hills DZ..
1961 April 21 - . 18:05 GMT - . Launch Site: Edwards. Launch Complex: Hidden Hills DZ. Launch Pad: Edwards RW04/22. Launch Platform: NB-52 003. FAILURE: Three hardware problems during flight..
X-15A Mach 4, Aero test - . Nation: USA. Agency: NASA, USAF. Spacecraft: X-15A. Apogee: 32 km (19 mi). Maximum Speed - 4946 kph. Maximum Altitude - 32000 m. Air dropped in Hidden Hills DZ..
1961 May 19 - . Launch Site: Edwards. Launch Complex: Edwards RW04/22. Launch Pad: Edwards. Launch Platform: NB-52 003. FAILURE: Failure. 1961 May 25 - . 20:16 GMT - . Launch Site: Edwards. Launch Complex: Mud Lake DZ. Launch Pad: Edwards RW04/22. Launch Platform: NB-52 003. X-15A Mach 5, SAS, Aero test - . Nation: USA. Agency: NASA, USAF. Spacecraft: X-15A. Apogee: 32 km (19 mi). Maximum Speed - 5321 kph. Maximum Altitude - 32850 m. Air dropped in Mud Lake DZ..
1961 June 19 - . X-15 awards. - . Nation: USA. Related Persons: Crossfield, Walker, White, Robert. Program: X-15A. Class: Manned. Type: Manned spaceplane. Spacecraft: X-15A. Harmon International Aviator's Trophy for 1961 announced as going to three winners for the first time-X-15 rocket research airplane pilots: A. Scott Crossfield, of North American; Joseph A. Walker, of NASA, and Maj. Robert A. White, U.S. Air Force..
1961 June 20 - . Launch Site: Edwards. Launch Complex: Edwards RW04/22. Launch Pad: Edwards. Launch Platform: NB-52 008. FAILURE: Failure. 1961 June 23 - . 22:00 GMT - . Launch Site: Edwards. Launch Complex: Mud Lake DZ. Launch Pad: Edwards RW04/22. Launch Platform: NB-52 003. X-15A Mach 5, Aerodynamics, Stability test - . Nation: USA. Agency: NASA, USAF. Spacecraft: X-15A. Apogee: 32 km (19 mi). Maximum Speed - 5797 kph. Maximum Altitude - 32830 m. Lost cabin pressure. Air dropped in Mud Lake DZ..
1961 August 10 - . 18:27 GMT - . Launch Site: Edwards. Launch Complex: Silver Lake DZ. Launch Pad: Edwards RW04/22. Launch Platform: NB-52 003. X-15A XLR-99, beta-dot test - . Nation: USA. Agency: NASA, USAF. Spacecraft: X-15A. Apogee: 23 km (14 mi). Maximum Speed - 4401 kph. Maximum Altitude - 23830 m. Lost cabin pressure. Air dropped in Silver Lake DZ..
1961 September 12 - . 22:40 GMT - . Launch Site: Edwards. Launch Complex: Mud Lake DZ. Launch Pad: Edwards RW04/22. Launch Platform: NB-52 008. X-15A Mach 5, Aerodynamics, Stability test - . Nation: USA. Agency: NASA, USAF. Spacecraft: X-15A. Apogee: 34 km (21 mi). Maximum Speed - 5821 kph. Maximum Altitude - 34840 m. Smoke in cockpit due to scorching paint. Air dropped in Mud Lake DZ..
1961 September 28 - . 17:50 GMT - . Launch Site: Edwards. Launch Complex: Hidden Hills DZ. Launch Pad: Edwards RW04/22. Launch Platform: NB-52 008. X-15A Mach 5, Heat Trans. test - . Nation: USA. Agency: NASA, USAF. Spacecraft: X-15A. Apogee: 31 km (19 mi). Maximum Speed - 5792 kph. Maximum Altitude - 31030 m. Test reentry heat limit. Smoke in cockpit due to scorching paint. Air dropped in Hidden Hills DZ..
1961 September 29 - . Launch Site: Edwards. Launch Complex: Edwards RW04/22. Launch Pad: Edwards. Launch Platform: NB-52 003. FAILURE: Failure. 1961 October 3 - . 18:40 GMT - . Launch Site: Edwards. Launch Complex: Silver Lake DZ. Launch Pad: Edwards RW04/22. Launch Platform: NB-52 003. X-15A VO Stability test - . Nation: USA. Agency: NASA, USAF. Spacecraft: X-15A. Apogee: 23 km (14 mi). Flight made with lower ventral off. Maximum Speed - 4553 kph. Maximum Altitude - 23770 m. Air dropped in Silver Lake DZ..
1961 October 11 - . 20:20 GMT - . Launch Site: Edwards. Launch Complex: Mud Lake DZ. Launch Pad: Edwards RW04/22. Launch Platform: NB-52 003. FAILURE: Left windshield cracks..
X-15A Alt, Aero, Low q test - . Nation: USA. Agency: NASA, USAF. Spacecraft: X-15A. Apogee: 66 km (41 mi). Outer panel of left windshield cracked. Maximum Speed - 5868 kph. Maximum Altitude - 66150 m. Air dropped in Mud Lake DZ..
1961 October 17 - . 18:57 GMT - . Launch Site: Edwards. Launch Complex: Mud Lake DZ. Launch Pad: Edwards RW04/22. Launch Platform: NB-52 003. X-15A Mach 5, Aero, Stab test - . Nation: USA. Agency: NASA, USAF. Spacecraft: X-15A. Apogee: 33 km (20 mi). Maximum Speed - 6275 kph. Maximum Altitude - 33100 m. Air dropped in Mud Lake DZ..
1961 October 27 - . Launch Site: Edwards. Launch Complex: Edwards RW04/22. Launch Pad: Edwards. Launch Platform: NB-52. FAILURE: Failure. 1961 November 2 - . Launch Site: Edwards. Launch Complex: Edwards RW04/22. Launch Pad: Edwards. Launch Platform: NB-52. FAILURE: Failure. 1961 November 3 - . Launch Site: Edwards. Launch Complex: Edwards RW04/22. Launch Pad: Edwards. Launch Platform: NB-52. FAILURE: Failure. 1961 November 9 - . 17:57 GMT - . Launch Site: Edwards. Launch Complex: Mud Lake DZ. Launch Pad: Edwards RW04/22. Launch Platform: NB-52 008. FAILURE: Right windshield cracks..
X-15A Mach 6, Aero, Stab test - . Nation: USA. Agency: NASA, USAF. Spacecraft: X-15A. Apogee: 31 km (19 mi). Design speed achieved. Outer right windshield shattered. Maximum Speed - 6586 kph. Maximum Altitude - 30950 m. Air dropped in Mud Lake DZ..
1961 December 19 - . Launch Site: Edwards. Launch Complex: Edwards RW04/22. Launch Pad: Edwards. Launch Platform: NB-52 003. FAILURE: Failure. 1961 December 20 - . 22:45 GMT - . Launch Site: Edwards. Launch Complex: Silver Lake DZ. Launch Pad: Edwards RW04/22. Launch Platform: NB-52 003. X-15A MH-96 test - . Nation: USA. Agency: NASA, USAF. Spacecraft: X-15A. Apogee: 24 km (14 mi). First flight for X-15 # 3. Maximum Speed - 4026 kph. Maximum Altitude - 24700 m. Air dropped in Silver Lake DZ..
1962 January 10 - . 20:28 GMT - . Launch Site: Edwards. Launch Complex: Mud Lake DZ. Launch Pad: Edwards RW04/22. Launch Platform: NB-52 003. FAILURE: Emergency landing at Mud Lake..
X-15A High alpha, Aero test - . Nation: USA. Agency: NASA, USAF. Spacecraft: X-15A. Apogee: 13 km (8 mi). Emergency landing on Mud Lake after engine failed to light. Maximum Speed - 1038 kph. Maximum Altitude - 13,640 m. Air dropped in Mud Lake DZ..
1962 January 17 - . 20:00 GMT - . Launch Site: Edwards. Launch Complex: Mud Lake DZ. Launch Pad: Edwards RW04/22. Launch Platform: NB-52 003. X-15A MH-96. Mach 5 test - . Nation: USA. Agency: NASA, USAF. Spacecraft: X-15A. Apogee: 40 km (24 mi). Maximum Speed - 6058 kph. Maximum Altitude - 40690 m. Air dropped in Mud Lake DZ..
1962 March 29 - . Launch Site: Edwards. Launch Complex: Edwards RW04/22. Launch Pad: Edwards. Launch Platform: NB-52 003. FAILURE: Failure. 1962 March 30 - . Launch Site: Edwards. Launch Complex: Edwards RW04/22. Launch Pad: Edwards. Launch Platform: NB-52 003. FAILURE: Failure. 1962 March 31 - . Launch Site: Edwards. Launch Complex: Edwards RW04/22. Launch Pad: Edwards. Launch Platform: NB-52 003. FAILURE: Failure. 1962 April 5 - . 18:04 GMT - . Launch Site: Edwards. Launch Complex: Hidden Hills DZ. Launch Pad: Edwards RW04/22. Launch Platform: NB-52 003. X-15A MH-96 test - . Nation: USA. Agency: NASA, USAF. Spacecraft: X-15A. Apogee: 54 km (33 mi). Maximum Speed - 4586 kph. Maximum Altitude - 54860 m. The X-15 was flown in a test of a new automatic control system to be used in the Dyna-Soar and Apollo spacecraft. The previous electronic control system had been automatic only while the X-15 was in the atmosphere; the new system was automatic in space as well. Air dropped in Hidden Hills DZ. 1962 April 18 - . Launch Site: Edwards. Launch Complex: Edwards RW04/22. Launch Pad: Edwards. Launch Platform: NB-52. FAILURE: Failure. 1962 April 19 - . 18:02 GMT - . Launch Site: Edwards. Launch Complex: Mud Lake DZ. Launch Pad: Edwards RW04/22. Launch Platform: NB-52 003. X-15A ASAS, alpha 20, M=5 test - . Nation: USA. Agency: NASA, USAF. Spacecraft: X-15A. Apogee: 46 km (28 mi). Maximum Speed - 6220 kph. Maximum Altitude - 46940 m. Air dropped in Mud Lake DZ..
1962 April 20 - . 19:26 GMT - . Launch Site: Edwards. Launch Complex: Mud Lake DZ. Launch Pad: Edwards RW04/22. Launch Platform: NB-52 008. X-15A MH-96, M=5 test - . Nation: USA. Agency: NASA, USAF. Spacecraft: X-15A. Apogee: 63 km (39 mi). Maximum Speed - 6097 kph. Maximum Altitude - 63250 m. Air dropped in Mud Lake DZ..
1962 April 25 - . Launch Site: Edwards. Launch Complex: Edwards RW04/22. Launch Pad: Edwards. Launch Platform: NB-52. FAILURE: Failure. X-15A test - . Nation: USA. Agency: NASA, USAF. Spacecraft: X-15A. Apogee: 14 km (8 mi). Maximum Speed - 5879 kph. Maximum Altitude - 32160 m..
1962 April 26 - . Launch Site: Edwards. Launch Complex: Edwards RW04/22. Launch Pad: Edwards. Launch Platform: NB-52. FAILURE: Failure. 1962 April 27 - . Launch Site: Edwards. Launch Complex: Edwards RW04/22. Launch Pad: Edwards. Launch Platform: NB-52. FAILURE: Failure. 1962 April 30 - . 18:23 GMT - . Launch Site: Edwards. Launch Complex: Mud Lake DZ. Launch Pad: Edwards RW04/22. Launch Platform: NB-52 008. X-15A Alt, Low q, Aero test - . Nation: USA. Agency: NASA, USAF. Spacecraft: X-15A. Apogee: 75 km (46 mi). Design altitude flight. Maximum Speed - 5614 kph. Maximum Altitude - 75190 m. Air dropped in Mud Lake DZ..
1962 May 2 - . Launch Site: Edwards. Launch Complex: Edwards RW04/22. Launch Pad: Edwards. Launch Platform: NB-52 003. Eglin Demonstration mission - . Nation: USA. Agency: NASA, USAF. Spacecraft: X-15A. Apogee: 14 km (8 mi). 1962 May 5 - . Launch Site: Eglin. Launch Platform: NB-52 003. 1962 May 5 - . Launch Site: Altus AFB. Launch Platform: NB-52 003. 1962 May 8 - . 18:01 GMT - . Launch Site: Edwards. Launch Complex: Hidden Hills DZ. Launch Pad: Edwards RW04/22. Launch Platform: NB-52 008. X-15A Heat T/ASAS/High al. test - . Nation: USA. Agency: NASA, USAF. Spacecraft: X-15A. Apogee: 21 km (13 mi). Maximum Speed - 5670 kph. Maximum Altitude - 21460 m. First flight to exceed 2000 psf (136 bar) dynamic pressure. Air dropped in Hidden Hills DZ..
1962 May 22 - . 18:04 GMT - . Launch Site: Edwards. Launch Complex: Hidden Hills DZ. Launch Pad: Edwards RW04/22. Launch Platform: NB-52 003. X-15A Local flow test - . Nation: USA. Agency: NASA, USAF. Spacecraft: X-15A. Apogee: 30 km (18 mi). Maximum Speed - 5551 kph. Maximum Altitude - 30600 m. Roller coaster flight with three peaks for local airflow investigation. Air dropped in Hidden Hills DZ..
1962 May 25 - . Launch Site: Edwards. Launch Complex: Edwards RW04/22. Launch Pad: Edwards. Launch Platform: NB-52. FAILURE: Failure. 1962 May 29 - . Launch Site: Edwards. Launch Complex: Edwards RW04/22. Launch Pad: Edwards. Launch Platform: NB-52. FAILURE: Failure. 1962 June 1 - . 18:51 GMT - . Launch Site: Edwards. Launch Complex: Delamar Dry Lake DZ. Launch Pad: Edwards RW04/22. Launch Platform: NB-52 008. X-15A ASAS, 23 alpha, M=5 test - . Nation: USA. Agency: NASA, USAF. Spacecraft: X-15A. Apogee: 40 km (24 mi). Maximum Speed - 5913 kph. Maximum Altitude - 40420 m. Steepest reentry descent with highest angle of attack (27 degrees) to date. Air dropped in Delamar Dry Lake DZ..
1962 June 7 - . 18:29 GMT - . Launch Site: Edwards. Launch Complex: Hidden Hills DZ. Launch Pad: Edwards RW04/22. Launch Platform: NB-52 003. X-15A Local flow, M=5 test - . Nation: USA. Agency: NASA, USAF. Spacecraft: X-15A. Apogee: 31 km (19 mi). Maximum Speed - 5908 kph. Maximum Altitude - 31580 m. Air dropped in Hidden Hills DZ..
1962 June 12 - . 20:04 GMT - . Launch Site: Edwards. Launch Complex: Delamar Dry Lake DZ. Launch Pad: Edwards RW04/22. Launch Platform: NB-52 008. X-15A RCS check, M=5 test - . Nation: USA. Agency: NASA, USAF. Spacecraft: X-15A. Apogee: 56 km (34 mi). Maximum Speed - 5659 kph. Maximum Altitude - 56270 m. Air dropped in Delamar Dry Lake DZ..
1962 June 21 - . 17:47 GMT - . Launch Site: Edwards. Launch Complex: Delamar Dry Lake DZ. Launch Pad: Edwards RW04/22. Launch Platform: NB-52 008. X-15A MH-96 Demo, M=5 test - . Nation: USA. Agency: NASA, USAF. Spacecraft: X-15A. Apogee: 75 km (46 mi). Maximum Speed - 5858 kph. Maximum Altitude - 75190 m. Air dropped in Delamar Dry Lake DZ..
1962 June 27 - . 21:08 GMT - . Launch Site: Edwards. Launch Complex: Mud Lake DZ. Launch Pad: Edwards RW04/22. Launch Platform: NB-52 003. 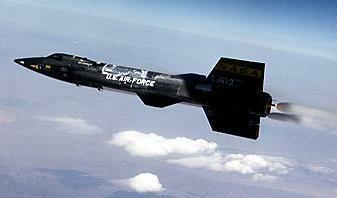 X-15A High alpha, Mach 6 test - . Nation: USA. Agency: NASA, USAF. Spacecraft: X-15A. Apogee: 37 km (22 mi). Unofficial world speed record. Maximum Speed - 6603 kph. Maximum Altitude - 37700 m. Air dropped in Mud Lake DZ..
1962 June 29 - . 18:41 GMT - . Launch Site: Edwards. Launch Complex: Hidden Hills DZ. Launch Pad: Edwards RW04/22. Launch Platform: NB-52 008. X-15A Heating rates, notch test - . Nation: USA. Agency: NASA, USAF. Spacecraft: X-15A. Apogee: 25 km (15 mi). Maximum Speed - 5278 kph. Maximum Altitude - 25360 m. Air dropped in Hidden Hills DZ..
1962 July 10 - . Launch Site: Edwards. Launch Complex: Edwards RW04/22. Launch Pad: Edwards. Launch Platform: NB-52 003. FAILURE: Failure. 1962 July 11 - . Launch Site: Edwards. Launch Complex: Edwards RW04/22. Launch Pad: Edwards. Launch Platform: NB-52 003. FAILURE: Failure. 1962 July 16 - . Launch Site: Edwards. Launch Complex: Edwards RW04/22. Launch Pad: Edwards. Launch Platform: NB-52 003. FAILURE: Failure. 1962 July 16 - . 22:09 GMT - . Launch Site: Edwards. Launch Complex: Mud Lake DZ. Launch Pad: Edwards RW04/22. Launch Platform: NB-52 008. FAILURE: Power trips..
X-15A Notch/ASAS/Aero drag test - . Nation: USA. Agency: NASA, USAF. Spacecraft: X-15A. Apogee: 32 km (19 mi). Maximum Speed - 5911 kph. Maximum Altitude - 32670 m. Air dropped in Mud Lake DZ..
1962 July 17 - . 17:31 GMT - . Launch Site: Edwards. Launch Complex: Delamar Dry Lake DZ. Launch Pad: Edwards RW04/22. Launch Platform: NB-52 003. X-15A MH-96 Demo test - . Nation: USA. Agency: NASA, USAF. Spacecraft: X-15A. Apogee: 95 km (59 mi). FAI world altitude record. Maximum Speed - 6166 kph. Maximum Altitude - 95940 m. First astronaut wings flight (USAF definition). Air dropped in Delamar Dry Lake DZ..
1962 July 19 - . 17:53 GMT - . Launch Site: Edwards. Launch Complex: Hidden Hills DZ. Launch Pad: Edwards RW04/22. Launch Platform: NB-52 008. X-15A Heating rates, drag test - . Nation: USA. Agency: NASA, USAF. Spacecraft: X-15A. Apogee: 26 km (16 mi). Maximum Speed - 5590 kph. Maximum Altitude - 25680 m. Air dropped in Hidden Hills DZ..
1962 July 26 - . 19:22 GMT - . Launch Site: Edwards. Launch Complex: Mud Lake DZ. Launch Pad: Edwards RW04/22. Launch Platform: NB-52 003. X-15A Aero stab. and drag test - . Nation: USA. Agency: NASA, USAF. Spacecraft: X-15A. Apogee: 30 km (18 mi). Maximum Speed - 6418 kph. Maximum Altitude - 30150 m. Roller coaster descent to simulate emergency reentry. Air dropped in Mud Lake DZ..
1962 August 1 - . Launch Site: Edwards. Launch Complex: Edwards RW04/22. Launch Pad: Edwards. Launch Platform: NB-52. FAILURE: Failure. 1962 August 2 - . 17:56 GMT - . Launch Site: Edwards. Launch Complex: Mud Lake DZ. Launch Pad: Edwards RW04/22. Launch Platform: NB-52 003. X-15A MH-96 fixed gain test - . Nation: USA. Agency: NASA, USAF. Spacecraft: X-15A. Apogee: 44 km (27 mi). Maximum Speed - 5532 kph. Maximum Altitude - 44040 m. Air dropped in Mud Lake DZ..
1962 August 8 - . 18:08 GMT - . Launch Site: Edwards. Launch Complex: Hidden Hills DZ. Launch Pad: Edwards RW04/22. Launch Platform: NB-52 008. X-15A Heating, aero drag test - . Nation: USA. Agency: NASA, USAF. Spacecraft: X-15A. Apogee: 27 km (16 mi). Maximum Speed - 4735 kph. Maximum Altitude - 27700 m. Air dropped in Hidden Hills DZ..
1962 August 10 - . Launch Site: Edwards. Launch Complex: Edwards RW04/22. Launch Pad: Edwards. Launch Platform: NB-52 003. FAILURE: Failure. 1962 August 14 - . 18:41 GMT - . Launch Site: Edwards. Launch Complex: Delamar Dry Lake DZ. Launch Pad: Edwards RW04/22. Launch Platform: NB-52 003. FAILURE: Roll damper failure..
X-15A Const Theta Entry test - . Nation: USA. Agency: NASA, USAF. Spacecraft: X-15A. Apogee: 59 km (36 mi). Maximum Speed - 6029 kph. Maximum Altitude - 59010 m. New reentry technique using pitch angle instrument instead of AOA. Air dropped in Delamar Dry Lake DZ..
1962 August 20 - . 18:08 GMT - . Launch Site: Edwards. Launch Complex: Hidden Hills DZ. Launch Pad: Edwards RW04/22. Launch Platform: NB-52 008. X-15A Heating, drag, ASAS test - . Nation: USA. Agency: NASA, USAF. Spacecraft: X-15A. Apogee: 27 km (16 mi). Maximum Speed - 5686 kph. Maximum Altitude - 27000 m. Air dropped in Hidden Hills DZ..
1962 August 29 - . 18:36 GMT - . Launch Site: Edwards. Launch Complex: Hidden Hills DZ. Launch Pad: Edwards RW04/22. Launch Platform: NB-52 008. X-15A Heating test - . Nation: USA. Agency: NASA, USAF. Spacecraft: X-15A. Apogee: 29 km (18 mi). Maximum Speed - 5546 kph. Maximum Altitude - 29630 m. Air dropped in Hidden Hills DZ..
1962 September 27 - . Launch Site: Edwards. Launch Complex: Edwards RW04/22. Launch Pad: Edwards. Launch Platform: NB-52 008. FAILURE: Failure. 1962 September 28 - . 18:04 GMT - . Launch Site: Edwards. Launch Complex: Hidden Hills DZ. Launch Pad: Edwards RW04/22. Launch Platform: NB-52 008. X-15A Heating, VO Stab test - . Nation: USA. Agency: NASA, USAF. Spacecraft: X-15A. Apogee: 20 km (12 mi). This and most following flights without lower ventral. Maximum Speed - 4450 kph. Maximum Altitude - 20790 m. Air dropped in Hidden Hills DZ..
1962 October 4 - . 18:10 GMT - . Launch Site: Edwards. Launch Complex: Delamar Dry Lake DZ. Launch Pad: Edwards RW04/22. Launch Platform: NB-52 008. FAILURE: Failure of APU, ball nose, and yaw damper..
X-15A VO Stability test - . Nation: USA. Agency: NASA, USAF. Spacecraft: X-15A. Apogee: 34 km (21 mi). Maximum Speed - 5620 kph. Maximum Altitude - 34200 m. Air dropped in Delamar Dry Lake DZ..
1962 October 9 - . 18:58 GMT - . Launch Site: Edwards. Launch Complex: Delamar Dry Lake DZ. Launch Pad: Edwards RW04/22. Launch Platform: NB-52 003. X-15A VO Stability test - . Nation: USA. Agency: NASA, USAF. Spacecraft: X-15A. Apogee: 39 km (24 mi). Maximum Speed - 5979 kph. Maximum Altitude - 39700 m. Air dropped in Delamar Dry Lake DZ..
1962 October 23 - . 19:30 GMT - . Launch Site: Edwards. Launch Complex: Mud Lake DZ. Launch Pad: Edwards RW04/22. Launch Platform: NB-52 008. X-15A VO Stability test - . Nation: USA. Agency: NASA, USAF. Spacecraft: X-15A. Apogee: 41 km (25 mi). Maximum Speed - 6056 kph. Maximum Altitude - 41000 m. Air dropped in Mud Lake DZ..
1962 November 9 - . 18:23 GMT - . Launch Site: Edwards. Launch Complex: Mud Lake DZ. Launch Pad: Edwards RW04/22. Launch Platform: NB-52 008. FAILURE: Engine failure. Crash landing on Mud Lake..
X-15A VO Stab, Bound.Layer test - . Nation: USA. Agency: NASA, USAF. Spacecraft: X-15A. Apogee: 16 km (9 mi). Engine only produced 35% power. Emergency landing at Mud Lake. Aircraft seriously damaged when gear failed. McKay injured. Maximum Speed - 1640 kph. Maximum Altitude - 16450 m. Air dropped in Mud Lake DZ..
1962 December 13 - . Launch Site: Edwards. Launch Complex: Edwards RW04/22. Launch Pad: Edwards. Launch Platform: NB-52 008. FAILURE: Failure. VO Stab, UVP - . Nation: USA. Agency: NASA, USAF. Spacecraft: X-15A. Apogee: 14 km (8 mi). 1962 December 14 - . 18:44 GMT - . Launch Site: Edwards. Launch Complex: Mud Lake DZ. Launch Pad: Edwards RW04/22. Launch Platform: NB-52 008. X-15A VO Stab, UVP Test/Ultraviolet Astronomy mission - . Nation: USA. Agency: NASA, USAF. Spacecraft: X-15A. Apogee: 43 km (26 mi). Maximum Speed - 6021 kph. Maximum Altitude - 43100 m. Air dropped in Mud Lake DZ..
1962 December 20 - . 19:25 GMT - . Launch Site: Edwards. Launch Complex: Mud Lake DZ. Launch Pad: Edwards RW04/22. Launch Platform: NB-52 008. X-15A VO Stab, MH-96 test - . Nation: USA. Agency: NASA, USAF. Spacecraft: X-15A. Apogee: 48 km (29 mi). Maximum Speed - 6103 kph. Maximum Altitude - 48900 m. Air dropped in Mud Lake DZ..
1963 January 17 - . 18:59 GMT - . Launch Site: Edwards. Launch Complex: Delamar Dry Lake DZ. Launch Pad: Edwards RW04/22. Launch Platform: NB-52 008. X-15A VO Alt, IR expt Test/Technology mission - . Nation: USA. Agency: NASA, USAF. Spacecraft: X-15A. Apogee: 82 km (50 mi). First civilian flight above 80 km. Maximum Speed - 5917 kph. Maximum Altitude - 82810 m. Second astronaut wings flight (USAF definition). Air dropped in Delamar Dry Lake DZ..
1963 April 11 - . 18:03 GMT - . Launch Site: Edwards. Launch Complex: Hidden Hills DZ. Launch Pad: Edwards RW04/22. Launch Platform: NB-52 008. X-15A KC-1/APU Test/Imaging mission - . Nation: USA. Agency: NASA, USAF. Spacecraft: X-15A. Apogee: 22 km (13 mi). Maximum Speed - 4608 kph. Maximum Altitude - 22680 m. First flight in scientific and advanced research series - carried aerial mapping camera. Air dropped in Hidden Hills DZ..
1963 April 18 - . 20:16 GMT - . Launch Site: Edwards. Launch Complex: Hidden Hills DZ. Launch Pad: Edwards RW04/22. Launch Platform: NB-52 008. FAILURE: Nose gear scoop door opens at Mach 3.4..
X-15A HT,Local flow,IR Test/Technology mission - . Nation: USA. Agency: NASA, USAF. Spacecraft: X-15A. Apogee: 28 km (17 mi). Nose landing gear failed. Maximum Speed - 6066 kph. Maximum Altitude - 28190 m. Air dropped in Hidden Hills DZ..
1963 April 25 - . 22:04 GMT - . Launch Site: Edwards. Launch Complex: Delamar Dry Lake DZ. Launch Pad: Edwards RW04/22. Launch Platform: NB-52 008. X-15A KC-1 Imaging mission - . Nation: USA. Agency: NASA, USAF. Spacecraft: X-15A. Apogee: 32 km (19 mi). Maximum Speed - 5879 kph. Maximum Altitude - 32160 m. Air dropped in Delamar Dry Lake DZ..
1963 May 2 - . 17:59 GMT - . Launch Site: Edwards. Launch Complex: Mud Lake DZ. Launch Pad: Edwards RW04/22. Launch Platform: NB-52 008. X-15A APU,UVP,IR,flow Test/Ultraviolet Astronomy/Technolgy mission - . Nation: USA. Agency: NASA, USAF. Spacecraft: X-15A. Apogee: 63 km (39 mi). Maximum Speed - 5612 kph. Maximum Altitude - 63820 m. Carried earth background radiation instrument in support of Midas reconnsat development. Air dropped in Mud Lake DZ..
1963 May 10 - . Launch Site: Edwards. Launch Complex: Edwards RW04/22. Launch Pad: Edwards. Launch Platform: NB-52 008. FAILURE: Failure. X-15A Test/Ultraviolet Astronomy/Technology mission - . Nation: USA. Agency: NASA, USAF. Spacecraft: X-15A. Apogee: 14 km (8 mi). 1963 May 14 - . 20:11 GMT - . Launch Site: Edwards. Launch Complex: Hidden Hills DZ. Launch Pad: Edwards RW04/22. Launch Platform: NB-52 008. X-15A Heating,UVP,IR Test/Ultraviolet Astronomy/Technology mission - . Nation: USA. Agency: NASA, USAF. Spacecraft: X-15A. Apogee: 29 km (18 mi). Maximum Speed - 5792 kph. Maximum Altitude - 29140 m. Air dropped in Hidden Hills DZ..
1963 May 15 - . 18:50 GMT - . Launch Site: Edwards. Launch Complex: Delamar Dry Lake DZ. Launch Pad: Edwards RW04/22. Launch Platform: NB-52 003. FAILURE: Nose gear scoop door opens at Mach 5.2..
X-15A Opt Deg/Trav Probe Test/Technology mission - . Nation: USA. Agency: NASA, USAF. Spacecraft: X-15A. Apogee: 37 km (22 mi). Maximum Speed - 6204 kph. Maximum Altitude - 37860 m. Lost both nose landing gear tires and forward fuselage buckled after APU gear box pressure loss. Air dropped in Delamar Dry Lake DZ..
1963 May 29 - . 18:43 GMT - . Launch Site: Edwards. Launch Complex: Delamar Dry Lake DZ. Launch Pad: Edwards RW04/22. Launch Platform: NB-52 008. X-15A Aero heating/VO Stab test - . Nation: USA. Agency: NASA, USAF. Spacecraft: X-15A. Apogee: 28 km (17 mi). Inner panel of left windshield cracked. Maximum Speed - 6208 kph. Maximum Altitude - 28040 m. Air dropped in Delamar Dry Lake DZ..
1963 June 18 - . 18:34 GMT - . Launch Site: Edwards. Launch Complex: Delamar Dry Lake DZ. Launch Pad: Edwards RW04/22. Launch Platform: NB-52 008. X-15A Alt, UVP, Tail p Test/Ultraviolet Astronomy mission - . Nation: USA. Agency: NASA, USAF. Spacecraft: X-15A. Apogee: 68 km (42 mi). Maximum Speed - 5694 kph. Maximum Altitude - 68180 m. Air dropped in Delamar Dry Lake DZ..
1963 June 25 - . 17:53 GMT - . Launch Site: Edwards. Launch Complex: Delamar Dry Lake DZ. Launch Pad: Edwards RW04/22. Launch Platform: NB-52 003. X-15A Opt Deg/Trav Probe Technology mission - . Nation: USA. Agency: NASA, USAF. Spacecraft: X-15A. Apogee: 34 km (21 mi). Maximum Speed - 6293 kph. Maximum Altitude - 34080 m. Air dropped in Delamar Dry Lake DZ..
1963 June 27 - . 17:56 GMT - . Launch Site: Edwards. Launch Complex: Delamar Dry Lake DZ. Launch Pad: Edwards RW04/22. Launch Platform: NB-52 008. X-15A Alt/UVP/IR/HorScan Test/Ultraviolet Astronomy/Technology mission - . Nation: USA. Agency: NASA, USAF. Spacecraft: X-15A. Apogee: 86 km (53 mi). Maximum Speed - 5511 kph. Maximum Altitude - 86870 m. Third astronaut wings flight (USAF definition). Air dropped in Delamar Dry Lake DZ..
1963 July 3 - . Launch Site: Edwards. Launch Complex: Edwards RW04/22. Launch Pad: Edwards. Launch Platform: NB-52. FAILURE: Failure. X-15A Technology/test - . Nation: USA. Agency: NASA, USAF. Spacecraft: X-15A. Apogee: 14 km (8 mi). 1963 July 9 - . 20:12 GMT - . Launch Site: Edwards. Launch Complex: Delamar Dry Lake DZ. Launch Pad: Edwards RW04/22. Launch Platform: NB-52 008. X-15A Opt Deg/TravP/RAS Technology/test - . Nation: USA. Agency: NASA, USAF. Spacecraft: X-15A. Apogee: 69 km (42 mi). Maximum Speed - 5842 kph. Maximum Altitude - 69010 m. Air dropped in Delamar Dry Lake DZ..
1963 July 17 - . Launch Site: Edwards. Launch Complex: Edwards RW04/22. Launch Pad: Edwards. Launch Platform: NB-52. FAILURE: Failure. 1963 July 18 - . 18:07 GMT - . Launch Site: Edwards. Launch Complex: Mud Lake DZ. Launch Pad: Edwards RW04/22. Launch Platform: NB-52 003. X-15A VO Stability test - . Nation: USA. Agency: NASA, USAF. Spacecraft: X-15A. Apogee: 31 km (19 mi). Maximum Speed - 6315 kph. Maximum Altitude - 31940 m. Air dropped in Mud Lake DZ..
1963 July 19 - . 18:20 GMT - . Launch Site: Edwards. Launch Complex: Smith Ranch Lake DZ. Launch Pad: Edwards RW04/22. Launch Platform: NB-52 008. X-15A VO,UVP,IR,HS,Balloon Test/Technology/Ultraviolet Astronomy mission - . Nation: USA. Agency: NASA, USAF. Spacecraft: X-15A. Apogee: 106 km (65 mi). Maximum Speed - 5969 kph. Maximum Altitude - 106010 m. Astronaut wings flight. 80 cm diameter balloon dragged on 30 m line to measure air density. 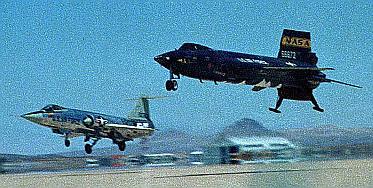 First X-15 astronaut flight (FAI definition); fourth astronaut wings flight (USAF definition). Air dropped in Smith Ranch Lake DZ. 1963 August 6 - . Launch Site: Edwards. Launch Complex: Edwards RW04/22. Launch Pad: Edwards. Launch Platform: NB-52 008. FAILURE: Failure. X-15A Test/Aeronomy mission - . Nation: USA. Agency: NASA, USAF. Spacecraft: X-15A. Apogee: 14 km (8 mi). 1963 August 13 - . Launch Site: Edwards. Launch Complex: Edwards RW04/22. Launch Pad: Edwards. Launch Platform: NB-52 008. FAILURE: Failure. 1963 August 15 - . Launch Site: Edwards. Launch Complex: Edwards RW04/22. Launch Pad: Edwards. Launch Platform: NB-52 008. FAILURE: Failure. 1963 August 22 - . 18:05 GMT - . Launch Site: Edwards. Launch Complex: Smith Ranch Lake DZ. Launch Pad: Edwards RW04/22. Launch Platform: NB-52 003. X-15A VO,Spectrom,Photom Test/Aeronomy mission - . Nation: USA. Agency: NASA, USAF. Spacecraft: X-15A. Apogee: 107 km (66 mi). Unofficial world altitude record. Maximum Speed - 6105 kph. Maximum Altitude - 107960 m. Second X-15 astronaut flight (FAI definition); fifth astronaut wings flight (USAF definition). Air dropped in Smith Ranch Lake DZ..
1963 October 4 - . Launch Site: Edwards. Launch Complex: Edwards RW04/22. Launch Pad: Edwards. Launch Platform: NB-52. FAILURE: Failure. X-15A Test/Technology mission - . Nation: USA. Agency: NASA, USAF. Spacecraft: X-15A. Apogee: 14 km (8 mi). 1963 October 7 - . 20:22 GMT - . Launch Site: Edwards. Launch Complex: Hidden Hills DZ. Launch Pad: Edwards RW04/22. Launch Platform: NB-52 008. X-15A Checkout/Opt Deg. Test/Technology mission - . Nation: USA. Agency: NASA, USAF. Spacecraft: X-15A. Apogee: 23 km (14 mi). Maximum Speed - 4560 kph. Maximum Altitude - 23710 m. Air dropped in Hidden Hills DZ..
1963 October 14 - . Launch Site: Edwards. Launch Complex: Edwards RW04/22. Launch Pad: Edwards. Launch Platform: NB-52. FAILURE: Failure. 1963 October 25 - . Launch Site: Edwards. Launch Complex: Edwards RW04/22. Launch Pad: Edwards. Launch Platform: NB-52. FAILURE: Failure. X-15A Sharp Upper Vert. test - . Nation: USA. Agency: NASA, USAF. Spacecraft: X-15A. Apogee: 14 km (8 mi). X-15 aborted launch (Sharp Upper Vert.). 1963 October 29 - . 20:42 GMT - . Launch Site: Edwards. Launch Complex: Hidden Hills DZ. Launch Pad: Edwards RW04/22. Launch Platform: NB-52 008. X-15A Checkout/Opt Deg. Test/Technology mission - . Nation: USA. Agency: NASA, USAF. Spacecraft: X-15A. Apogee: 22 km (13 mi). Maximum Speed - 4364 kph. Maximum Altitude - 22600 m. Air dropped in Hidden Hills DZ..
1963 November 7 - . 18:11 GMT - . Launch Site: Edwards. Launch Complex: Hidden Hills DZ. Launch Pad: Edwards RW04/22. Launch Platform: NB-52 008. X-15A Sharp Upper Vert. test - . Nation: USA. Agency: NASA, USAF. Spacecraft: X-15A. Apogee: 25 km (15 mi). Maximum Speed - 4706 kph. Maximum Altitude - 25080 m. First flight with sharp-edged vertical stabilizer. Air dropped in Hidden Hills DZ..
1963 November 14 - . 19:19 GMT - . Launch Site: Edwards. Launch Complex: Hidden Hills DZ. Launch Pad: Edwards RW04/22. Launch Platform: NB-52 008. X-15A CO/Opt Deg/Systems Test/Technology mission - . Nation: USA. Agency: NASA, USAF. Spacecraft: X-15A. Apogee: 27 km (16 mi). Maximum Speed - 5287 kph. Maximum Altitude - 27680 m. Air dropped in Hidden Hills DZ..
1963 November 19 - . Launch Site: Edwards. Launch Complex: Edwards RW04/22. Launch Pad: Edwards. Launch Platform: NB-52. FAILURE: Failure. X-15A Checkout mission - . Nation: USA. Agency: NASA, USAF. Spacecraft: X-15A. Apogee: 14 km (8 mi). X-15 aborted launch (Checkout). 1963 November 27 - . 20:17 GMT - . Launch Site: Edwards. Launch Complex: Hidden Hills DZ. Launch Pad: Edwards RW04/22. Launch Platform: NB-52 008. X-15A Checkout mission - . Nation: USA. Agency: NASA, USAF. Spacecraft: X-15A. Apogee: 27 km (16 mi). Maximum Speed - 5326 kph. Maximum Altitude - 27371 m. Air dropped in Hidden Hills DZ..
1963 December 3 - . Launch Site: Edwards. Launch Complex: Edwards RW04/22. Launch Pad: Edwards. Launch Platform: NB-52. FAILURE: Failure. 1963 December 5 - . 19:04 GMT - . Launch Site: Edwards. Launch Complex: Delamar Dry Lake DZ. Launch Pad: Edwards RW04/22. Launch Platform: NB-52 008. X-15A Opt Deg/Sys/Mach 6 Technology/test - . Nation: USA. Agency: NASA, USAF. Spacecraft: X-15A. Apogee: 30 km (18 mi). Maximum Speed - 6465 kph. Maximum Altitude - 30785 m. Camera test in combination with U-2 flight. Air dropped in Delamar Dry Lake DZ..
1963 December 18 - . Launch Site: Edwards. Launch Complex: Edwards RW04/22. Launch Pad: Edwards. Launch Platform: NB-52. FAILURE: Failure. X-15A Opt Deg Technology mission - . Nation: USA. Agency: NASA, USAF. Spacecraft: X-15A. Apogee: 14 km (8 mi). X-15 aborted launch (Opt Deg). 1964 January 8 - . 20:10 GMT - . Launch Site: Edwards. Launch Complex: Mud Lake DZ. Launch Pad: Edwards RW04/22. Launch Platform: NB-52 008. FAILURE: Inertial instruments failure..
X-15A SAS Off Stability test - . Nation: USA. Agency: NASA, USAF. Spacecraft: X-15A. Apogee: 42 km (26 mi). Maximum Speed - 5818 kph. Maximum Altitude - 42642 m. Air dropped in Mud Lake DZ..
1964 January 16 - . 18:03 GMT - . Launch Site: Edwards. Launch Complex: Hidden Hills DZ. Launch Pad: Edwards RW04/22. Launch Platform: NB-52 008. X-15A Sharp Upper Vert test - . Nation: USA. Agency: NASA, USAF. Spacecraft: X-15A. Apogee: 21 km (13 mi). Maximum Speed - 5216 kph. Maximum Altitude - 21641 m. Air dropped in Hidden Hills DZ..
1964 January 28 - . 20:11 GMT - . Launch Site: Edwards. Launch Complex: Delamar Dry Lake DZ. Launch Pad: Edwards RW04/22. Launch Platform: NB-52 008. X-15A Stability test - . Nation: USA. Agency: NASA, USAF. Spacecraft: X-15A. Apogee: 32 km (19 mi). Maximum Speed - 5821 kph. Maximum Altitude - 32736 m. First test of hypersonic speed brakes. Air dropped in Delamar Dry Lake DZ.. The X-15A-2 delivered to NASA - . Nation: USA. Spacecraft Bus: X-15A. Spacecraft: X-15A-2. The X-15A-2, modified from the number two aircraft, included among other new features, a 28-in. fuselage extension to carry liquid hydrogen for a supersonic combustion ramjet that was flown (as a dummy) but never tested. It also had external tanks for liquid ammonia and liquid oxygen. These tanks provided roughly 60 seconds of additional engine burn and were used on the aircraft's Mach 6.7 flight. 1964 February 19 - . 17:57 GMT - . Launch Site: Edwards. Launch Complex: Hidden Hills DZ. Launch Pad: Edwards RW04/22. Launch Platform: NB-52 003. X-15A SUV,Boundary Layer test - . Nation: USA. Agency: NASA, USAF. Spacecraft: X-15A. Apogee: 23 km (14 mi). Maximum Speed - 5662 kph. Maximum Altitude - 23957 m. Air dropped in Hidden Hills DZ..
1964 March 13 - . 17:46 GMT - . Launch Site: Edwards. Launch Complex: Hidden Hills DZ. Launch Pad: Edwards RW04/22. Launch Platform: NB-52 003. X-15A SUV,Boundary Layer test - . Nation: USA. Agency: NASA, USAF. Spacecraft: X-15A. Apogee: 23 km (14 mi). Maximum Speed - 5458 kph. Maximum Altitude - 23165 m. Air dropped in Hidden Hills DZ..
1964 March 17 - . Launch Site: Edwards. Launch Complex: Edwards RW04/22. Launch Pad: Edwards. Launch Platform: NB-52. FAILURE: Failure. X-15A Optical Degradation Technology mission - . Nation: USA. Agency: NASA, USAF. Spacecraft: X-15A. Apogee: 14 km (8 mi). X-15 aborted launch (Optical Degradation). 1964 March 27 - . 18:10 GMT - . Launch Site: Edwards. Launch Complex: Delamar Dry Lake DZ. Launch Pad: Edwards RW04/22. Launch Platform: NB-52 003. X-15A Optical Degradation Technology mission - . Nation: USA. Agency: NASA, USAF. Spacecraft: X-15A. Apogee: 30 km (18 mi). Maximum Speed - 6158 kph. Maximum Altitude - 30937 m. Secret reconn camera test. Air dropped in Delamar Dry Lake DZ..
1964 March 31 - . Launch Site: Edwards. Launch Complex: Edwards RW04/22. Launch Pad: Edwards. Launch Platform: NB-52. FAILURE: Failure. 1964 April 8 - . 18:02 GMT - . Launch Site: Edwards. Launch Complex: Delamar Dry Lake DZ. Launch Pad: Edwards RW04/22. Launch Platform: NB-52 003. X-15A Optical Degradation /Alternate Build Technology/test - . Nation: USA. Agency: NASA, USAF. Spacecraft: X-15A. Apogee: 53 km (32 mi). Maximum Speed - 5580 kph. Maximum Altitude - 53340 m. Air dropped in Delamar Dry Lake DZ..
1964 April 29 - . 18:00 GMT - . Launch Site: Edwards. Launch Complex: Delamar Dry Lake DZ. Launch Pad: Edwards RW04/22. Launch Platform: NB-52 003. X-15A Opt Deg/Att Indic. Technology/test - . Nation: USA. Agency: NASA, USAF. Spacecraft: X-15A. Apogee: 31 km (19 mi). Maximum Speed - 6285 kph. Maximum Altitude - 30968 m. Air dropped in Delamar Dry Lake DZ..
1964 May 11 - . Launch Site: Edwards. Launch Complex: Edwards RW04/22. Launch Pad: Edwards. Launch Platform: NB-52. FAILURE: Failure. 1964 May 12 - . 17:51 GMT - . Launch Site: Edwards. Launch Complex: Hidden Hills DZ. Launch Pad: Edwards RW04/22. Launch Platform: NB-52 003. FAILURE: Problems with inertial platform and SAS..
X-15A SUV/BLN test - . Nation: USA. Agency: NASA, USAF. Spacecraft: X-15A. Apogee: 22 km (13 mi). Maximum Speed - 4962 kph. Maximum Altitude - 22189 m. Air dropped in Hidden Hills DZ..
1964 May 19 - . 18:26 GMT - . Launch Site: Edwards. Launch Complex: Delamar Dry Lake DZ. Launch Pad: Edwards RW04/22. Launch Platform: NB-52 003. X-15A Optical Degradation /Alternate Build Technology/test - . Nation: USA. Agency: NASA, USAF. Spacecraft: X-15A. Apogee: 59 km (36 mi). Maximum Speed - 5262 kph. Maximum Altitude - 59680 m. Air dropped in Delamar Dry Lake DZ..
1964 May 21 - . 17:39 GMT - . Launch Site: Edwards. Launch Complex: Silver Lake DZ. Launch Pad: Edwards RW04/22. Launch Platform: NB-52 003. FAILURE: Emergency landing at Cuddleback Lake..
X-15A SUV/BLN test - . Nation: USA. Agency: NASA, USAF. Spacecraft: X-15A. Apogee: 19 km (11 mi). Premature engine shutdown at 41 sec. Maximum Speed - 3001 kph. Maximum Altitude - 19568 m. Air dropped in Silver Lake DZ..
1964 June 11 - . Launch Site: Edwards. Launch Complex: Edwards RW04/22. Launch Pad: Edwards. Launch Platform: NB-52. FAILURE: Failure. 1964 June 15 - . Launch Site: Edwards. Launch Complex: Edwards RW04/22. Launch Pad: Edwards. Launch Platform: NB-52. X-15A-2 Carry test - . Nation: USA. Agency: NASA, USAF. Spacecraft Bus: X-15A. Spacecraft: X-15A-2. Apogee: 14 km (8 mi). X-15 captive flight (X-15A-2 modification). 1964 June 23 - . Launch Site: Edwards. Launch Complex: Edwards RW04/22. Launch Pad: Edwards. Launch Platform: NB-52. FAILURE: Failure. X-15A-2 Stability test - . Nation: USA. Agency: NASA, USAF. Spacecraft Bus: X-15A. Spacecraft: X-15A-2. Apogee: 14 km (8 mi). X-15 aborted launch (Stability). 1964 June 25 - . 17:34 GMT - . Launch Site: Edwards. Launch Complex: Hidden Hills DZ. Launch Pad: Edwards RW04/22. Launch Platform: NB-52 003. X-15A-2 Stability test - . Nation: USA. Agency: NASA, USAF. Spacecraft Bus: X-15A. Spacecraft: X-15A-2. Apogee: 25 km (15 mi). Maximum Speed - 4994 kph. Maximum Altitude - 25390 m. First flight of X-15 No. 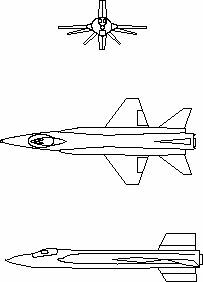 2 in X-15A-2 configuration, but without drop tanks. Air dropped in Hidden Hills DZ..
1964 June 30 - . 17:49 GMT - . Launch Site: Edwards. Launch Complex: Delamar Dry Lake DZ. Launch Pad: Edwards RW04/22. Launch Platform: NB-52 003. X-15A Optical Degradation /Alternate Build Technology/test - . Nation: USA. Agency: NASA, USAF. Spacecraft: X-15A. Apogee: 30 km (18 mi). Maximum Speed - 5364 kph. Maximum Altitude - 30358 m. Air dropped in Delamar Dry Lake DZ..
1964 July 2 - . Launch Site: Edwards. Launch Complex: Edwards RW04/22. Launch Pad: Edwards. Launch Platform: NB-52. FAILURE: Failure. 1964 July 8 - . 21:02 GMT - . Launch Site: Edwards. Launch Complex: Delamar Dry Lake DZ. Launch Pad: Edwards RW04/22. Launch Platform: NB-52 003. FAILURE: MH-96 guidance malfunction..
X-15A Hor Scan/MH-96 test - . Nation: USA. Agency: NASA, USAF. Spacecraft: X-15A. Apogee: 51 km (31 mi). Maximum Speed - 5664 kph. Maximum Altitude - 51938 m. First test of IR horizon scanner. Air dropped in Delamar Dry Lake DZ..
1964 July 28 - . Launch Site: Edwards. Launch Complex: Edwards RW04/22. Launch Pad: Edwards. Launch Platform: NB-52. FAILURE: Failure. 1964 July 29 - . 19:55 GMT - . Launch Site: Edwards. Launch Complex: Hidden Hills DZ. Launch Pad: Edwards RW04/22. Launch Platform: NB-52 003. X-15A Heat tran/Local Flow test - . Nation: USA. Agency: NASA, USAF. Spacecraft: X-15A. Apogee: 23 km (14 mi). Maximum Speed - 5250 kph. Maximum Altitude - 23774 m. First test of various heat-resistant panels attached to fuselage. Air dropped in Hidden Hills DZ..
1964 August 12 - . 18:12 GMT - . Launch Site: Edwards. Launch Complex: Hidden Hills DZ. Launch Pad: Edwards RW04/22. Launch Platform: NB-52 003. X-15A Heat tran/LF/BLN test - . Nation: USA. Agency: NASA, USAF. Spacecraft: X-15A. Apogee: 24 km (14 mi). Maximum Speed - 5688 kph. Maximum Altitude - 24750 m. Air dropped in Hidden Hills DZ..
1964 August 14 - . 17:54 GMT - . Launch Site: Edwards. Launch Complex: Delamar Dry Lake DZ. Launch Pad: Edwards RW04/22. Launch Platform: NB-52 003. FAILURE: Nose gear deployed at Mach 4.2..
X-15A-2 Stability test - . Nation: USA. Agency: NASA, USAF. Spacecraft Bus: X-15A. Spacecraft: X-15A-2. Apogee: 31 km (19 mi). Maximum Speed - 5776 kph. Maximum Altitude - 31486 m. Nose landing gear extended at Mach 4.5. Both tires blew on landing. Air dropped in Delamar Dry Lake DZ..
1964 August 26 - . 18:42 GMT - . Launch Site: Edwards. Launch Complex: Hidden Hills DZ. Launch Pad: Edwards RW04/22. Launch Platform: NB-52 003. X-15A HT/LF/BLN test - . Nation: USA. Agency: NASA, USAF. Spacecraft: X-15A. Apogee: 27 km (16 mi). Maximum Speed - 6216 kph. Maximum Altitude - 27737 m. Air dropped in Hidden Hills DZ..
1964 September 3 - . 17:54 GMT - . Launch Site: Edwards. Launch Complex: Hidden Hills DZ. Launch Pad: Edwards RW04/22. Launch Platform: NB-52 003. X-15A HT/BLN test - . Nation: USA. Agency: NASA, USAF. Spacecraft: X-15A. Apogee: 23 km (14 mi). Maximum Speed - 5817 kph. Maximum Altitude - 23957 m. Air dropped in Hidden Hills DZ..
1964 September 23 - . Launch Site: Edwards. Launch Complex: Edwards RW04/22. Launch Pad: Edwards. Launch Platform: NB-52. FAILURE: Failure. 1964 September 23 - . 21:16 GMT - . Launch Site: Edwards. Launch Complex: Delamar Dry Lake DZ. Launch Pad: Edwards RW04/22. Launch Platform: NB-52 003. X-15A MA-45R TPS, BLN Test/Technology mission - . Nation: USA. Agency: NASA, USAF. Spacecraft: X-15A. Apogee: 29 km (18 mi). X-15 Flight 117 (MA-45R TPS, BLN) Air dropped in Delamar Dry Lake DZ..
1964 September 29 - . 21:00 GMT - . Launch Site: Edwards. Launch Complex: Mud Lake DZ. Launch Pad: Edwards RW04/22. Launch Platform: NB-52 008. FAILURE: Nose gear scoop door causes handling difficulties..
X-15A-2 Stab.,Star tracker test - . Nation: USA. Agency: NASA, USAF. Spacecraft Bus: X-15A. Spacecraft: X-15A-2. Apogee: 29 km (18 mi). Maximum Speed - 5699 kph. Maximum Altitude - 29809 m. Air dropped in Mud Lake DZ..
1964 October 2 - . Launch Site: Edwards. Launch Complex: Edwards RW04/22. Launch Pad: Edwards. Launch Platform: NB-52. FAILURE: Failure. 1964 October 15 - . 21:15 GMT - . Launch Site: Edwards. Launch Complex: Hidden Hills DZ. Launch Pad: Edwards RW04/22. Launch Platform: NB-52 008. X-15A IFDS/Tip Pod/AD-SB Test/Aeronomy mission - . Nation: USA. Agency: NASA, USAF. Spacecraft: X-15A. Apogee: 25 km (15 mi). Maximum Speed - 4904 kph. Maximum Altitude - 25878 m. First flight with X-20 INS and wing tip pods. Air dropped in Hidden Hills DZ..
1964 October 29 - . Launch Site: Edwards. Launch Complex: Edwards RW04/22. Launch Pad: Edwards. Launch Platform: NB-52. X-15A Gear modification check test - . Nation: USA. Agency: NASA, USAF. Spacecraft: X-15A. Apogee: 14 km (8 mi). X-15 captive flight - gear mod check. 1964 October 30 - . 17:51 GMT - . Launch Site: Edwards. Launch Complex: Hidden Hills DZ. Launch Pad: Edwards RW04/22. Launch Platform: NB-52 008. X-15A Gear mod, BLN test - . Nation: USA. Agency: NASA, USAF. Spacecraft: X-15A. Apogee: 25 km (15 mi). Maximum Speed - 5009 kph. Maximum Altitude - 25786 m. Air dropped in Hidden Hills DZ..
1964 November 6 - . Launch Site: Edwards. Launch Complex: Edwards RW04/22. Launch Pad: Edwards. Launch Platform: NB-52. X-15A-2 test - . Nation: USA. Agency: NASA, USAF. Spacecraft Bus: X-15A. Spacecraft: X-15A-2. Apogee: 14 km (8 mi). X-15 captive flight. 1964 November 16 - . Launch Site: Edwards. Launch Complex: Edwards RW04/22. Launch Pad: Edwards. Launch Platform: NB-52. 1964 November 30 - . 20:09 GMT - . Launch Site: Edwards. Launch Complex: Hidden Hills DZ. Launch Pad: Edwards RW04/22. Launch Platform: NB-52 008. X-15A-2 Gear mod, Stab,ST test - . Nation: USA. Agency: NASA, USAF. Spacecraft Bus: X-15A. Spacecraft: X-15A-2. Apogee: 26 km (16 mi). Maximum Speed - 4970 kph. Maximum Altitude - 26579 m. Air dropped in Hidden Hills DZ..
1964 December 4 - . Launch Site: Edwards. Launch Complex: Edwards RW04/22. Launch Pad: Edwards. Launch Platform: NB-52. FAILURE: Failure. 1964 December 9 - . 18:36 GMT - . Launch Site: Edwards. Launch Complex: Hidden Hills DZ. Launch Pad: Edwards RW04/22. Launch Platform: NB-52 008. X-15A 3D Flow Field,MA-45R Test/Technology mission - . Nation: USA. Agency: NASA, USAF. Spacecraft: X-15A. Apogee: 28 km (17 mi). Maximum Speed - 5990 kph. Maximum Altitude - 28164 m. Air dropped in Hidden Hills DZ..
1964 December 10 - . 19:10 GMT - . Launch Site: Edwards. Launch Complex: Delamar Dry Lake DZ. Launch Pad: Edwards RW04/22. Launch Platform: NB-52 003. X-15A IFDS/MIT/Air Den Test/Aeronomy mission - . Nation: USA. Agency: NASA, USAF. Spacecraft: X-15A. Apogee: 34 km (21 mi). Maximum Speed - 5913 kph. Maximum Altitude - 34503 m. Air dropped in Delamar Dry Lake DZ..
1964 December 22 - . 18:44 GMT - . Launch Site: Edwards. Launch Complex: Hidden Hills DZ. Launch Pad: Edwards RW04/22. Launch Platform: NB-52 003. X-15A Friction,GE TPS.,3D Test/Technology mission - . Nation: USA. Agency: NASA, USAF. Spacecraft: X-15A. Apogee: 24 km (14 mi). Maximum Speed - 5781 kph. Maximum Altitude - 24750 m. Air dropped in Hidden Hills DZ..
1965 January 13 - . 18:51 GMT - . Launch Site: Edwards. Launch Complex: Hidden Hills DZ. Launch Pad: Edwards RW04/22. Launch Platform: NB-52 003. FAILURE: Control system problems..
X-15A 3D,HT,Fric,BLN test - . Nation: USA. Agency: NASA, USAF. Spacecraft: X-15A. Apogee: 30 km (18 mi). Maximum Speed - 5973 kph. Maximum Altitude - 30297 m. Immediately after burnout aircraft gyrated around all 3 axes for 7 seconds. Air dropped in Hidden Hills DZ..
1965 January 26 - . Launch Site: Edwards. Launch Complex: Edwards RW04/22. Launch Pad: Edwards. Launch Platform: NB-52. FAILURE: Failure. 1965 February 2 - . 20:50 GMT - . Launch Site: Edwards. Launch Complex: Delamar Dry Lake DZ. Launch Pad: Edwards RW04/22. Launch Platform: NB-52 008. X-15A MA-25S TPS,MH-96,BLN Test/Technology mission - . Nation: USA. Agency: NASA, USAF. Spacecraft: X-15A. Apogee: 29 km (18 mi). Maximum Speed - 6253 kph. Maximum Altitude - 29931 m. Air dropped in Delamar Dry Lake DZ..
1965 February 15 - . Launch Site: Edwards. Launch Complex: Edwards RW04/22. Launch Pad: Edwards. Launch Platform: NB-52. 1965 February 17 - . 18:44 GMT - . Launch Site: Edwards. Launch Complex: Mud Lake DZ. Launch Pad: Edwards RW04/22. Launch Platform: NB-52 008. FAILURE: Landing skid extends at Mach 4.3..
X-15A-2 Stability test - . Nation: USA. Agency: NASA, USAF. Spacecraft Bus: X-15A. Spacecraft: X-15A-2. Apogee: 29 km (18 mi). Maximum Speed - 5649 kph. Maximum Altitude - 28986 m. Right main landing gear extended at Mach 4.1; normal landing. Air dropped in Mud Lake DZ..
1965 February 19 - . Launch Site: Edwards. Launch Complex: Edwards RW04/22. Launch Pad: Edwards. Launch Platform: NB-52. FAILURE: Failure. 1965 February 25 - . Launch Site: Edwards. Launch Complex: Edwards RW04/22. Launch Pad: Edwards. Launch Platform: NB-52. FAILURE: Failure. 1965 February 26 - . 19:45 GMT - . Launch Site: Edwards. Launch Complex: Delamar Dry Lake DZ. Launch Pad: Edwards RW04/22. Launch Platform: NB-52 008. X-15A MIT/AirD/Sky Bright Aeronomy mission - . Nation: USA. Agency: NASA, USAF. Spacecraft: X-15A. Apogee: 46 km (28 mi). Maximum Speed - 6034 kph. Maximum Altitude - 46817 m. Air dropped in Delamar Dry Lake DZ..
1965 March 26 - . 19:01 GMT - . Launch Site: Edwards. Launch Complex: Delamar Dry Lake DZ. Launch Pad: Edwards RW04/22. Launch Platform: NB-52 008. X-15A IR Scanner/IFDS Technology/test - . Nation: USA. Agency: NASA, USAF. Spacecraft: X-15A. Apogee: 31 km (19 mi). Maximum Speed - 5760 kph. Maximum Altitude - 31059 m. Air dropped in Delamar Dry Lake DZ..
1965 April 23 - . 17:44 GMT - . Launch Site: Edwards. Launch Complex: Hidden Hills DZ. Launch Pad: Edwards RW04/22. Launch Platform: NB-52 008. X-15A HT/Abl TPS/BLN Test/Technology mission - . Nation: USA. Agency: NASA, USAF. Spacecraft: X-15A. Apogee: 24 km (14 mi). Maximum Speed - 5760 kph. Maximum Altitude - 24293 m. Air dropped in Hidden Hills DZ..
1965 April 28 - . 20:26 GMT - . Launch Site: Edwards. Launch Complex: Hidden Hills DZ. Launch Pad: Edwards RW04/22. Launch Platform: NB-52 008. X-15A-2 Landing loads,Stab test - . Nation: USA. Agency: NASA, USAF. Spacecraft Bus: X-15A. Spacecraft: X-15A-2. Apogee: 28 km (17 mi). Maximum Speed - 5266 kph. Maximum Altitude - 28224 m. First star tracker checkout. Air dropped in Hidden Hills DZ..
1965 May 11 - . Launch Site: Edwards. Launch Complex: Edwards RW04/22. Launch Pad: Edwards. Launch Platform: NB-52. FAILURE: Failure. 1965 May 13 - . Launch Site: Edwards. Launch Complex: Edwards RW04/22. Launch Pad: Edwards. Launch Platform: NB-52. FAILURE: Failure. X-15A-2 aborted launch. - . Nation: USA. Agency: NASA, USAF. Spacecraft Bus: X-15A. Spacecraft: X-15A-2. Apogee: 14 km (8 mi). 1965 May 18 - . 17:56 GMT - . Launch Site: Edwards. Launch Complex: Mud Lake DZ. Launch Pad: Edwards RW04/22. Launch Platform: NB-52 008. X-15A-2 Stab, landing, ST test - . Nation: USA. Agency: NASA, USAF. Spacecraft Bus: X-15A. Spacecraft: X-15A-2. Apogee: 31 km (19 mi). Maximum Speed - 5697 kph. Maximum Altitude - 31120 m. Air dropped in Mud Lake DZ..
1965 May 25 - . 18:12 GMT - . Launch Site: Edwards. Launch Complex: Mud Lake DZ. Launch Pad: Edwards RW04/22. Launch Platform: NB-52 008. X-15A IFDS/MIT/RAS modification technology / test - . Nation: USA. Agency: NASA, USAF. Spacecraft: X-15A. Apogee: 54 km (33 mi). Maximum Speed - 5100 kph. Maximum Altitude - 54803 m. Air dropped in Mud Lake DZ..
1965 May 28 - . 17:43 GMT - . Launch Site: Edwards. Launch Complex: Delamar Dry Lake DZ. Launch Pad: Edwards RW04/22. Launch Platform: NB-52 008. X-15A Radiometer/Scan/BLN Test/Aeronomy mission - . Nation: USA. Agency: NASA, USAF. Spacecraft: X-15A. Apogee: 63 km (39 mi). Maximum Speed - 6040 kph. Maximum Altitude - 63886 m. Air dropped in Delamar Dry Lake DZ..
1965 June 4 - . Launch Site: Edwards. Launch Complex: Edwards RW04/22. Launch Pad: Edwards. Launch Platform: NB-52. FAILURE: Failure. 1965 June 8 - . Launch Site: Edwards. Launch Complex: Edwards RW04/22. Launch Pad: Edwards. Launch Platform: NB-52. FAILURE: Failure. 1965 June 11 - . Launch Site: Edwards. Launch Complex: Edwards RW04/22. Launch Pad: Edwards. Launch Platform: NB-52. FAILURE: Failure. 1965 June 16 - . 18:26 GMT - . Launch Site: Edwards. Launch Complex: Delamar Dry Lake DZ. Launch Pad: Edwards RW04/22. Launch Platform: NB-52 003. X-15A Radiometer/BLN test - . Nation: USA. Agency: NASA, USAF. Spacecraft: X-15A. Apogee: 74 km (45 mi). Maximum Speed - 5477 kph. Maximum Altitude - 74585 m. Air dropped in Delamar Dry Lake DZ..
1965 June 17 - . 17:40 GMT - . Launch Site: Edwards. Launch Complex: Delamar Dry Lake DZ. Launch Pad: Edwards RW04/22. Launch Platform: NB-52 008. X-15A IR Scanner, INS test - . Nation: USA. Agency: NASA, USAF. Spacecraft: X-15A. Apogee: 33 km (20 mi). Maximum Speed - 5697 kph. Maximum Altitude - 33071 m. Air dropped in Delamar Dry Lake DZ..
1965 June 22 - . 17:44 GMT - . Launch Site: Edwards. Launch Complex: Delamar Dry Lake DZ. Launch Pad: Edwards RW04/22. Launch Platform: NB-52 008. X-15A-2 Stability,ST,gear test - . Nation: USA. Agency: NASA, USAF. Spacecraft Bus: X-15A. Spacecraft: X-15A-2. Apogee: 47 km (29 mi). Maximum Speed - 6336 kph. Maximum Altitude - 47518 m. Air dropped in Delamar Dry Lake DZ..
1965 June 29 - . 18:21 GMT - . Launch Site: Edwards. Launch Complex: Delamar Dry Lake DZ. Launch Pad: Edwards RW04/22. Launch Platform: NB-52 008. X-15A LaRC Scan,Radiom,BLN Test/Aeronomy mission - . Nation: USA. Agency: NASA, USAF. Spacecraft: X-15A. Apogee: 85 km (52 mi). Maximum Speed - 5522 kph. Maximum Altitude - 85527 m. Astronaut wings flight (USAF definition). Air dropped in Delamar Dry Lake DZ..
1965 July 2 - . Launch Site: Edwards. Launch Complex: Edwards RW04/22. Launch Pad: Edwards. Launch Platform: NB-52. FAILURE: Failure. 1965 July 8 - . 17:16 GMT - . Launch Site: Edwards. Launch Complex: Delamar Dry Lake DZ. Launch Pad: Edwards RW04/22. Launch Platform: NB-52 003. X-15A-2 ST,Landing,Alt test - . Nation: USA. Agency: NASA, USAF. Spacecraft Bus: X-15A. Spacecraft: X-15A-2. Apogee: 64 km (39 mi). Maximum Speed - 5887 kph. Maximum Altitude - 64800 m. Star tracker mission to photograph Gamma Cassiopeia. Air dropped in Delamar Dry Lake DZ..
1965 July 13 - . Launch Site: Edwards. Launch Complex: Edwards RW04/22. Launch Pad: Edwards. Launch Platform: NB-52. FAILURE: Failure. 1965 July 20 - . 17:59 GMT - . Launch Site: Edwards. Launch Complex: Delamar Dry Lake DZ. Launch Pad: Edwards RW04/22. Launch Platform: NB-52 008. X-15A Bound.Layer Noise test - . Nation: USA. Agency: NASA, USAF. Spacecraft: X-15A. Apogee: 32 km (19 mi). Maximum Speed - 6050 kph. Maximum Altitude - 32126 m. Air dropped in Delamar Dry Lake DZ..
1965 July 23 - . Launch Site: Edwards. Launch Complex: Edwards RW04/22. Launch Pad: Edwards. Launch Platform: NB-52. FAILURE: Failure. 1965 July 27 - . Launch Site: Edwards. Launch Complex: Edwards RW04/22. Launch Pad: Edwards. Launch Platform: NB-52. FAILURE: Failure. 1965 July 28 - . Launch Site: Edwards. Launch Complex: Edwards RW04/22. Launch Pad: Edwards. Launch Platform: NB-52. FAILURE: Failure. 1965 August 3 - . 20:40 GMT - . Launch Site: Edwards. Launch Complex: Delamar Dry Lake DZ. Launch Pad: Edwards RW04/22. Launch Platform: NB-52 008. X-15A-2 RAS,ST,Landing test - . Nation: USA. Agency: NASA, USAF. Spacecraft Bus: X-15A. Spacecraft: X-15A-2. Apogee: 63 km (39 mi). Maximum Speed - 5796 kph. Maximum Altitude - 63612 m. Air dropped in Delamar Dry Lake DZ..
1965 August 6 - . 17:41 GMT - . Launch Site: Edwards. Launch Complex: Delamar Dry Lake DZ. Launch Pad: Edwards RW04/22. Launch Platform: NB-52 008. X-15A IR Scan,Stability test - . Nation: USA. Agency: NASA, USAF. Spacecraft: X-15A. Apogee: 31 km (19 mi). Maximum Speed - 5686 kph. Maximum Altitude - 31455 m. Air dropped in Delamar Dry Lake DZ..
1965 August 10 - . 19:24 GMT - . Launch Site: Edwards. Launch Complex: Delamar Dry Lake DZ. Launch Pad: Edwards RW04/22. Launch Platform: NB-52 003. X-15A Northrop Scan,BLN test - . Nation: USA. Agency: NASA, USAF. Spacecraft: X-15A. Apogee: 82 km (50 mi). Maximum Speed - 5712 kph. Maximum Altitude - 82601 m. Astronaut wings flight (USAF definition). Air dropped in Delamar Dry Lake DZ..
1965 August 20 - . Launch Site: Edwards. Launch Complex: Edwards RW04/22. Launch Pad: Edwards. Launch Platform: NB-52. FAILURE: Failure. 1965 August 24 - . Launch Site: Edwards. Launch Complex: Edwards RW04/22. Launch Pad: Edwards. Launch Platform: NB-52. FAILURE: Failure. 1965 August 25 - . 17:54 GMT - . Launch Site: Edwards. Launch Complex: Delamar Dry Lake DZ. Launch Pad: Edwards RW04/22. Launch Platform: NB-52 003. X-15A MIT Scan,Stability test - . Nation: USA. Agency: NASA, USAF. Spacecraft: X-15A. Apogee: 65 km (40 mi). Maximum Speed - 5799 kph. Maximum Altitude - 65258 m. Air dropped in Delamar Dry Lake DZ..
1965 August 26 - . 17:52 GMT - . Launch Site: Edwards. Launch Complex: Delamar Dry Lake DZ. Launch Pad: Edwards RW04/22. Launch Platform: NB-52 008. X-15A Northrop Radiom,BLN Test/Aeronomy mission? - . Nation: USA. Agency: NASA, USAF. Spacecraft: X-15A. Apogee: 73 km (45 mi). Maximum Speed - 5426 kph. Maximum Altitude - 73030 m. Air dropped in Delamar Dry Lake DZ..
1965 September 2 - . 17:40 GMT - . Launch Site: Edwards. Launch Complex: Delamar Dry Lake DZ. Launch Pad: Edwards RW04/22. Launch Platform: NB-52 008. X-15A-2 RAS,ST,Landing test - . Nation: USA. Agency: NASA, USAF. Spacecraft Bus: X-15A. Spacecraft: X-15A-2. Apogee: 73 km (45 mi). X-15 Flight 146 (RAS,ST,Landing) Air dropped in Delamar Dry Lake DZ..
1965 September 9 - . 17:55 GMT - . Launch Site: Edwards. Launch Complex: Delamar Dry Lake DZ. Launch Pad: Edwards RW04/22. Launch Platform: NB-52 008. X-15A IR scan,Abl TPS test - . Nation: USA. Agency: NASA, USAF. Spacecraft: X-15A. Apogee: 29 km (18 mi). Maximum Speed - 5686 kph. Maximum Altitude - 29627 m. Air dropped in Delamar Dry Lake DZ..
1965 September 14 - . 18:01 GMT - . Launch Site: Edwards. Launch Complex: Delamar Dry Lake DZ. Launch Pad: Edwards RW04/22. Launch Platform: NB-52 008. X-15A N.Radiom,BLN Test/Aeronomy mission? - . Nation: USA. Agency: NASA, USAF. Spacecraft: X-15A. Apogee: 72 km (44 mi). Maximum Speed - 5662 kph. Maximum Altitude - 72847 m. Air dropped in Delamar Dry Lake DZ..
1965 September 22 - . 18:58 GMT - . Launch Site: Edwards. Launch Complex: Delamar Dry Lake DZ. Launch Pad: Edwards RW04/22. Launch Platform: NB-52 003. X-15A-2 Infrared Scanner test - . Nation: USA. Agency: NASA, USAF. Spacecraft Bus: X-15A. Spacecraft: X-15A-2. Apogee: 30 km (18 mi). Maximum Speed - 5744 kph. Maximum Altitude - 73091 m. Air dropped in Delamar Dry Lake DZ..
1965 September 28 - . 18:07 GMT - . Launch Site: Edwards. Launch Complex: Delamar Dry Lake DZ. Launch Pad: Edwards RW04/22. Launch Platform: NB-52 003. X-15A N.Scan/BLN/Tail test - . Nation: USA. Agency: NASA, USAF. Spacecraft: X-15A. Apogee: 90 km (55 mi). Maximum Speed - 6005 kph. Maximum Altitude - 90099 m. Astronaut wings flight (USAF definition). Air dropped in Delamar Dry Lake DZ..
1965 September 30 - . 17:43 GMT - . Launch Site: Edwards. Launch Complex: Hidden Hills DZ. Launch Pad: Edwards RW04/22. Launch Platform: NB-52 003. X-15A Infrared Scanner test - . Nation: USA. Agency: NASA, USAF. Spacecraft: X-15A. Apogee: 23 km (14 mi). Maximum Speed - 4373 kph. Maximum Altitude - 23350 m. Air dropped in Hidden Hills DZ..
1965 October 8 - . Launch Site: Edwards. Launch Complex: Edwards RW04/22. Launch Pad: Edwards. Launch Platform: NB-52. FAILURE: Failure. 1965 October 12 - . 17:43 GMT - . Launch Site: Edwards. Launch Complex: Hidden Hills DZ. Launch Pad: Edwards RW04/22. Launch Platform: NB-52 008. FAILURE: APU shutdown..
X-15A Checkout mission - . Nation: USA. Agency: NASA, USAF. Spacecraft: X-15A. Apogee: 28 km (17 mi). Maximum Speed - 5001 kph. Maximum Altitude - 28770 m. Air dropped in Hidden Hills DZ..
1965 October 14 - . 20:46 GMT - . Launch Site: Edwards. Launch Complex: Delamar Dry Lake DZ. Launch Pad: Edwards RW04/22. Launch Platform: NB-52 003. X-15A MIT,Pace transducer test - . Nation: USA. Agency: NASA, USAF. Spacecraft: X-15A. Apogee: 81 km (50 mi). Maximum Speed - 5718 kph. Maximum Altitude - 81230 m. Astronaut wings flight (USAF definition). Air dropped in Delamar Dry Lake DZ..
1965 October 27 - . 18:49 GMT - . Launch Site: Edwards. Launch Complex: Delamar Dry Lake DZ. Launch Pad: Edwards RW04/22. Launch Platform: NB-52 003. X-15A N.Scan/BLN test - . Nation: USA. Agency: NASA, USAF. Spacecraft: X-15A. Apogee: 72 km (44 mi). Maximum Speed - 5662 kph. Maximum Altitude - 72210 m. Air dropped in Delamar Dry Lake DZ..
1965 November 2 - . Launch Site: Edwards. Launch Complex: Edwards RW04/22. Launch Pad: Edwards. Launch Platform: NB-52. FAILURE: Failure. 1965 November 3 - . 17:09 GMT - . Launch Site: Edwards. Launch Complex: Cuddeback Dry Lake DZ. Launch Pad: Edwards RW04/22. Launch Platform: NB-52 003. X-15A-2 External Tank test - . Nation: USA. Agency: NASA, USAF. Spacecraft Bus: X-15A. Spacecraft: X-15A-2. Apogee: 21 km (13 mi). First flight with empty external tanks. Ammonia tank recovered; Lox tank destroyed. Maximum Speed - 2414 kph. Maximum Altitude - 21520 m. Air dropped in Cuddeback Dry Lake DZ..
1965 November 4 - . 17:11 GMT - . Launch Site: Edwards. Launch Complex: Hidden Hills DZ. Launch Pad: Edwards RW04/22. Launch Platform: NB-52 008. FAILURE: Two engine relights required..
X-15A Checkout mission - . Nation: USA. Agency: NASA, USAF. Spacecraft: X-15A. Apogee: 24 km (14 mi). Maximum Speed - 4450 kph. Maximum Altitude - 24440 m. Air dropped in Hidden Hills DZ..
1966 April 13 - . Launch Site: Edwards. Launch Complex: Edwards RW04/22. Launch Pad: Edwards. Launch Platform: NB-52. FAILURE: Failure. 1966 April 20 - . Launch Site: Edwards. Launch Complex: Edwards RW04/22. Launch Pad: Edwards. Launch Platform: NB-52. FAILURE: Failure. 1966 May 5 - . Launch Site: Edwards. Launch Complex: Edwards RW04/22. Launch Pad: Edwards. Launch Platform: NB-52. FAILURE: Failure. 1966 May 6 - . 21:30 GMT - . Launch Site: Edwards. Launch Complex: Delamar Dry Lake DZ. Launch Pad: Edwards RW04/22. Launch Platform: NB-52 003. FAILURE: Pump failure forces emergency landing at Delamar Dry Lake..
X-15A AD/MuMet/Scan/SB Aeronomy/Meteor/Technology mission - . Nation: USA. Agency: NASA, USAF. Spacecraft: X-15A. Apogee: 20 km (12 mi). Premature engine shutdown at 32 sec. Maximum Speed - 2307 kph. Maximum Altitude - 20850 m. Air dropped in Delamar Dry Lake DZ..
1966 May 18 - . 18:24 GMT - . Launch Site: Edwards. Launch Complex: Mud Lake DZ. Launch Pad: Edwards RW04/22. Launch Platform: NB-52 003. X-15A-2 V-On Stab test - . Nation: USA. Agency: NASA, USAF. Spacecraft Bus: X-15A. Spacecraft: X-15A-2. Apogee: 30 km (18 mi). Maximum Speed - 5936 kph. Maximum Altitude - 30170 m. Air dropped in Mud Lake DZ..
1966 June 2 - . Launch Site: Edwards. Launch Complex: Edwards RW04/22. Launch Pad: Edwards. Launch Platform: NB-52. FAILURE: Failure. 1966 June 10 - . Launch Site: Edwards. Launch Complex: Edwards RW04/22. Launch Pad: Edwards. Launch Platform: NB-52. FAILURE: Failure. 1966 June 20 - . Launch Site: Edwards. Launch Complex: Edwards RW04/22. Launch Pad: Edwards. Launch Platform: NB-52. FAILURE: Failure. 1966 June 27 - . Launch Site: Edwards. Launch Complex: Edwards RW04/22. Launch Pad: Edwards. Launch Platform: NB-52. X-15A-2 External Tank test - . Nation: USA. Agency: NASA, USAF. Spacecraft Bus: X-15A. Spacecraft: X-15A-2. Apogee: 14 km (8 mi). X-15 captive flight (External Tank Test). 1966 July 1 - . 19:02 GMT - . Launch Site: Edwards. Launch Complex: Mud Lake DZ. Launch Pad: Edwards RW04/22. Launch Platform: NB-52 008. FAILURE: Erroneous failure indication results in emergency landing at Mud Lake..
X-15A-2 External Tank test - . Nation: USA. Agency: NASA, USAF. Spacecraft Bus: X-15A. Spacecraft: X-15A-2. Apogee: 13 km (8 mi). First flight with fueled external tanks. Engine shutdown at 34.6 seconds due to fuel flow anomalies. Maximum Speed - 1646 kph. Maximum Altitude - 13720 m. Air dropped in Mud Lake DZ..
1966 July 12 - . 19:32 GMT - . Launch Site: Edwards. Launch Complex: Mud Lake DZ. Launch Pad: Edwards RW04/22. Launch Platform: NB-52 003. X-15A Checkout, Systems test - . Nation: USA. Agency: NASA, USAF. Spacecraft: X-15A. Apogee: 39 km (24 mi). Maximum Speed - 5876 kph. Maximum Altitude - 39620 m. Air dropped in Mud Lake DZ..
1966 July 13 - . Launch Site: Edwards. Launch Complex: Edwards RW04/22. Launch Pad: Edwards. Launch Platform: NB-52. FAILURE: Failure. 1966 July 18 - . 19:38 GMT - . Launch Site: Edwards. Launch Complex: Hidden Hills DZ. Launch Pad: Edwards RW04/22. Launch Platform: NB-52 003. X-15A Checkout, Systems test - . Nation: USA. Agency: NASA, USAF. Spacecraft: X-15A. Apogee: 29 km (18 mi). Maximum Speed - 5176 kph. Maximum Altitude - 29290 m. First flight with X-20 energy management system. Air dropped in Hidden Hills DZ..
1966 July 20 - . Launch Site: Edwards. Launch Complex: Edwards RW04/22. Launch Pad: Edwards. Launch Platform: NB-52. FAILURE: Failure. 1966 July 21 - . 20:02 GMT - . Launch Site: Edwards. Launch Complex: Delamar Dry Lake DZ. Launch Pad: Edwards RW04/22. Launch Platform: NB-52 003. X-15A-2 Alt,ST,Abl TPS test - . Nation: USA. Agency: NASA, USAF. Spacecraft Bus: X-15A. Spacecraft: X-15A-2. Apogee: 58 km (36 mi). Maximum Speed - 5741 kph. Maximum Altitude - 58610 m. Air dropped in Delamar Dry Lake DZ..
1966 July 28 - . 18:01 GMT - . Launch Site: Edwards. Launch Complex: Delamar Dry Lake DZ. Launch Pad: Edwards RW04/22. Launch Platform: NB-52 008. X-15A MuMet/HS/SB/RAS Technology/Meteor/Aeronomy mission - . Nation: USA. Agency: NASA, USAF. Spacecraft: X-15A. Apogee: 73 km (45 mi). Maximum Speed - 5957 kph. Maximum Altitude - 73700 m. Air dropped in Delamar Dry Lake DZ..
1966 August 3 - . 16:45 GMT - . Launch Site: Edwards. Launch Complex: Delamar Dry Lake DZ. Launch Pad: Edwards RW04/22. Launch Platform: NB-52 008. X-15A-2 ST, Base drag test - . Nation: USA. Agency: NASA, USAF. Spacecraft Bus: X-15A. Spacecraft: X-15A-2. Apogee: 75 km (46 mi). Maximum Speed - 5535 kph. Maximum Altitude - 75890 m. UV photos of stars in Auriga. Air dropped in Delamar Dry Lake DZ..
1966 August 4 - . 17:54 GMT - . Launch Site: Edwards. Launch Complex: Mud Lake DZ. Launch Pad: Edwards RW04/22. Launch Platform: NB-52 008. X-15A Heat Tran,BLN,OBE Test/Technology mission - . Nation: USA. Agency: NASA, USAF. Spacecraft: X-15A. Apogee: 40 km (24 mi). Maximum Speed - 6376 kph. Maximum Altitude - 40450 m. Air dropped in Mud Lake DZ..
1966 August 9 - . Launch Site: Edwards. Launch Complex: Edwards RW04/22. Launch Pad: Edwards. Launch Platform: NB-52. FAILURE: Failure. 1966 August 10 - . Launch Site: Edwards. Launch Complex: Edwards RW04/22. Launch Pad: Edwards. Launch Platform: NB-52. FAILURE: Failure. 1966 August 11 - . 17:44 GMT - . Launch Site: Edwards. Launch Complex: Delamar Dry Lake DZ. Launch Pad: Edwards RW04/22. Launch Platform: NB-52 003. X-15A HS,MuMet,SB,Gas Technology/Meteor/Aeronomy mission - . Nation: USA. Agency: NASA, USAF. Spacecraft: X-15A. Apogee: 76 km (47 mi). Maximum Speed - 5776 kph. Maximum Altitude - 76500 m. Record dynamic pressure. Air dropped in Delamar Dry Lake DZ..
1966 August 12 - . 18:25 GMT - . Launch Site: Edwards. Launch Complex: Delamar Dry Lake DZ. Launch Pad: Edwards RW04/22. Launch Platform: NB-52 003. X-15A-2 ST,Pitot,Base drag test - . Nation: USA. Agency: NASA, USAF. Spacecraft Bus: X-15A. Spacecraft: X-15A-2. Apogee: 70 km (43 mi). Maximum Speed - 5586 kph. Maximum Altitude - 70440 m. Air dropped in Delamar Dry Lake DZ..
1966 August 19 - . 18:04 GMT - . Launch Site: Edwards. Launch Complex: Delamar Dry Lake DZ. Launch Pad: Edwards RW04/22. Launch Platform: NB-52 003. X-15A BLN,OBE,H Test/Aeronomy mission? - . Nation: USA. Agency: NASA, USAF. Spacecraft: X-15A. Apogee: 54 km (33 mi). Maximum Speed - 5804 kph. Maximum Altitude - 54250 m. Air dropped in Delamar Dry Lake DZ..
1966 August 25 - . 17:49 GMT - . Launch Site: Edwards. Launch Complex: Delamar Dry Lake DZ. Launch Pad: Edwards RW04/22. Launch Platform: NB-52 003. FAILURE: Inertial malfunction during re-entry..
X-15A HS/MuMet/Gas Technology/Meteor/Aeronomy mission - . Nation: USA. Agency: NASA, USAF. Spacecraft: X-15A. Apogee: 78 km (48 mi). Maximum Speed - 5701 kph. Maximum Altitude - 78490 m. Collected micrometeorites and extraterrestrial dust. Air dropped in Delamar Dry Lake DZ..
1966 August 30 - . 17:51 GMT - . Launch Site: Edwards. Launch Complex: Mud Lake DZ. Launch Pad: Edwards RW04/22. Launch Platform: NB-52 008. FAILURE: SAS system drops out repeatedly, hydrogen peroxide fire in ventral fin..
X-15A-2 V-On,Maurer,TPS Test/Technology/Ultraviolet Astronomy mission - . Nation: USA. Agency: NASA, USAF. Spacecraft Bus: X-15A. Spacecraft: X-15A-2. Apogee: 31 km (19 mi). Maximum Speed - 5701 kph. Maximum Altitude - 30540 m. Air dropped in Mud Lake DZ..
1966 September 8 - . 18:39 GMT - . Launch Site: Edwards. Launch Complex: Smith Ranch Lake DZ. Launch Pad: Edwards RW04/22. Launch Platform: NB-52 008. FAILURE: Emergency landing at Smith Ranch..
X-15A HS/Elec loads test - . Nation: USA. Agency: NASA, USAF. Spacecraft: X-15A. Apogee: 22 km (13 mi). Premature engine shutdown at 38 sec. Maximum Speed - 2578 kph. Maximum Altitude - 22310 m. Air dropped in Smith Ranch Lake DZ..
1966 September 13 - . Launch Site: Edwards. Launch Complex: Edwards RW04/22. Launch Pad: Edwards. Launch Platform: NB-52. FAILURE: Failure. 1966 September 14 - . 20:01 GMT - . Launch Site: Edwards. Launch Complex: Delamar Dry Lake DZ. Launch Pad: Edwards RW04/22. Launch Platform: NB-52 003. X-15A MuMet/Solar spec Technology/Meteor/Solar mission - . Nation: USA. Agency: NASA, USAF. Spacecraft: X-15A. Apogee: 77 km (47 mi). Maximum Speed - 5770 kph. Maximum Altitude - 22980 m. JPL spectrometer measured solar flux; radiometer characterized exhaust plume in UV for reconnsat sensors; collected micrometeorites. Air dropped in Delamar Dry Lake DZ..
1966 September 28 - . Launch Site: Edwards. Launch Complex: Edwards RW04/22. Launch Pad: Edwards. Launch Platform: NB-52. FAILURE: Failure. 1966 October 4 - . Launch Site: Edwards. Launch Complex: Edwards RW04/22. Launch Pad: Edwards. Launch Platform: NB-52. FAILURE: Failure. 1966 October 6 - . 20:16 GMT - . Launch Site: Edwards. Launch Complex: Hidden Hills DZ. Launch Pad: Edwards RW04/22. Launch Platform: NB-52 003. FAILURE: Emergency landing at Cuddleback Dry Lake..
X-15A Checkout mission - . Nation: USA. Agency: NASA, USAF. Spacecraft: X-15A. Apogee: 23 km (14 mi). Maximum Speed - 4666 kph. Maximum Altitude - 22980 m. Engine shut down at 90 seconds. Air dropped in Hidden Hills DZ..
1966 October 7 - . Launch Site: Edwards. Launch Complex: Edwards RW04/22. Launch Pad: Edwards. Launch Platform: NB-52. FAILURE: Failure. 1966 October 19 - . Launch Site: Edwards. Launch Complex: Edwards RW04/22. Launch Pad: Edwards. Launch Platform: NB-52. FAILURE: Failure. 1966 November 1 - . 21:24 GMT - . Launch Site: Edwards. Launch Complex: Smith Ranch Lake DZ. Launch Pad: Edwards RW04/22. Launch Platform: NB-52 003. X-15A MuMet/DCR/SB Meteorological/Aeronomy mission - . Nation: USA. Agency: NASA, USAF. Spacecraft: X-15A. Apogee: 93 km (57 mi). Maximum Speed - 6034 kph. Maximum Altitude - 93540 m. Astronaut wings flight (USAF definition). Air dropped in Smith Ranch Lake DZ..
1966 November 18 - . Launch Site: Edwards. Launch Complex: Edwards RW04/22. Launch Pad: Edwards. Launch Platform: NB-52. FAILURE: Failure. X-15A-2 test - . Nation: USA. Agency: NASA, USAF. Spacecraft Bus: X-15A. Spacecraft: X-15A-2. Apogee: 14 km (8 mi). Unofficial world's speed record. Maximum Speed - 6838 kph. Maximum Altitude - 30140 m..
1966 November 18 - . 21:24 GMT - . Launch Site: Edwards. Launch Complex: Mud Lake DZ. Launch Pad: Edwards RW04/22. Launch Platform: NB-52 008. X-15A-2 ET/TPS/Maurer/Mach 6 Test/Ultraviolet Astronomy mission - . Nation: USA. Agency: NASA, USAF. Spacecraft Bus: X-15A. Spacecraft: X-15A-2. Apogee: 30 km (18 mi). X-15 Flight 175 (ET/TPS/Maurer/Mach 6) Air dropped in Mud Lake DZ..
1966 November 23 - . Launch Site: Edwards. Launch Complex: Edwards RW04/22. Launch Pad: Edwards. Launch Platform: NB-52. FAILURE: Failure. 1966 November 29 - . 19:38 GMT - . Launch Site: Edwards. Launch Complex: Hidden Hills DZ. Launch Pad: Edwards RW04/22. Launch Platform: NB-52 003. X-15A Checkout mission - . Nation: USA. Agency: NASA, USAF. Spacecraft: X-15A. Apogee: 28 km (17 mi). Maximum Speed - 5020 kph. Maximum Altitude - 28040 m. Air dropped in Hidden Hills DZ..
1966 December 22 - . Launch Site: Edwards. Launch Complex: Edwards RW04/22. Launch Pad: Edwards. Launch Platform: NB-52. Test mission - . Nation: USA. Agency: NASA, USAF. Spacecraft: X-15A. Apogee: 14 km (8 mi). 1967 March 15 - . Launch Site: Edwards. Launch Complex: Edwards RW04/22. Launch Pad: Edwards. Launch Platform: NB-52. FAILURE: Failure. 1967 March 21 - . Launch Site: Edwards. Launch Complex: Edwards RW04/22. Launch Pad: Edwards. Launch Platform: NB-52. FAILURE: Failure. 1967 March 22 - . 17:52 GMT - . Launch Site: Edwards. Launch Complex: Mud Lake DZ. Launch Pad: Edwards RW04/22. Launch Platform: NB-52 003. FAILURE: Cockpit pressure problems..
X-15A Stab./Loads/ASAS test - . Nation: USA. Agency: NASA, USAF. Spacecraft: X-15A. Apogee: 40 km (24 mi). Maximum Speed - 6150 kph. Maximum Altitude - 40570 m. Inertial system failed after peak altitude; cabin pressurization lost during descent. Air dropped in Mud Lake DZ..
1967 April 20 - . Launch Site: Edwards. Launch Complex: Edwards RW04/22. Launch Pad: Edwards. Launch Platform: NB-52. FAILURE: Failure. 1967 April 26 - . 19:20 GMT - . Launch Site: Edwards. Launch Complex: Silver Lake DZ. Launch Pad: Edwards RW04/22. Launch Platform: NB-52 008. FAILURE: Emergency landing at Silver Lake..
X-15A Telem/HT/Guidance test - . Nation: USA. Agency: NASA, USAF. Spacecraft: X-15A. Apogee: 16 km (9 mi). Maximum Speed - 1871 kph. Maximum Altitude - 16280 m. Air dropped in Silver Lake DZ..
1967 April 28 - . 17:23 GMT - . Launch Site: Edwards. Launch Complex: Delamar Dry Lake DZ. Launch Pad: Edwards RW04/22. Launch Platform: NB-52 003. X-15A WTR/HS/E loads Test/Technology mission - . Nation: USA. Agency: NASA, USAF. Spacecraft: X-15A. Apogee: 50 km (31 mi). Maximum Speed - 5985 kph. Maximum Altitude - 50900 m. Air dropped in Delamar Dry Lake DZ..
1967 May 5 - . Launch Site: Edwards. Launch Complex: Edwards RW04/22. Launch Pad: Edwards. Launch Platform: NB-52. FAILURE: Failure. 1967 May 8 - . 19:27 GMT - . Launch Site: Edwards. Launch Complex: Hidden Hills DZ. Launch Pad: Edwards RW04/22. Launch Platform: NB-52 008. FAILURE: Eyelid installed on one window; other window fogs up..
X-15A-2 Ramjet flow test - . Nation: USA. Agency: NASA, USAF. Spacecraft Bus: X-15A. Spacecraft: X-15A-2. Apogee: 29 km (18 mi). Maximum Speed - 5138 kph. Maximum Altitude - 29750 m. Check out of stability and control with ramjet pod. Air dropped in Hidden Hills DZ..
1967 May 12 - . Launch Site: Edwards. Launch Complex: Edwards RW04/22. Launch Pad: Edwards. Launch Platform: NB-52. FAILURE: Failure. 1967 May 17 - . 17:45 GMT - . Launch Site: Edwards. Launch Complex: Silver Lake DZ. Launch Pad: Edwards RW04/22. Launch Platform: NB-52 003. FAILURE: Severe tail oscillations..
X-15A Telem/HT/Guidance test - . Nation: USA. Agency: NASA, USAF. Spacecraft: X-15A. Apogee: 21 km (13 mi). Maximum Speed - 5112 kph. Maximum Altitude - 21670 m. Air dropped in Silver Lake DZ..
1967 May 25 - . Launch Site: Edwards. Launch Complex: Edwards RW04/22. Launch Pad: Edwards. Launch Platform: NB-52. FAILURE: Failure. 1967 June 1 - . Launch Site: Edwards. Launch Complex: Edwards RW04/22. Launch Pad: Edwards. Launch Platform: NB-52. FAILURE: Failure. 1967 June 14 - . Launch Site: Edwards. Launch Complex: Edwards RW04/22. Launch Pad: Edwards. Launch Platform: NB-52. FAILURE: Failure. 1967 June 15 - . 18:09 GMT - . Launch Site: Edwards. Launch Complex: Delamar Dry Lake DZ. Launch Pad: Edwards RW04/22. Launch Platform: NB-52 003. X-15A HS/Stab/WTR Test/Technology mission - . Nation: USA. Agency: NASA, USAF. Spacecraft: X-15A. Apogee: 69 km (42 mi). Maximum Speed - 5802 kph. Maximum Altitude - 69890 m. Air dropped in Delamar Dry Lake DZ..
1967 June 22 - . 21:57 GMT - . Launch Site: Edwards. Launch Complex: Hidden Hills DZ. Launch Pad: Edwards RW04/22. Launch Platform: NB-52 008. FAILURE: Severe tail oscillations..
X-15A HT/Telem test - . Nation: USA. Agency: NASA, USAF. Spacecraft: X-15A. Apogee: 25 km (15 mi). Maximum Speed - 5810 kph. Maximum Altitude - 25050 m. Air dropped in Hidden Hills DZ..
1967 June 29 - . 18:27 GMT - . Launch Site: Edwards. Launch Complex: Smith Ranch Lake DZ. Launch Pad: Edwards RW04/22. Launch Platform: NB-52 008. FAILURE: Loss of both APU's and all electrical power..
X-15A WTR/HS/ASAS Test/Technology mission - . Nation: USA. Agency: NASA, USAF. Spacecraft: X-15A. Apogee: 52 km (32 mi). Electrical failure while climbing through 32610 m; lost engine at 69 seconds; landed at Mud Lake with no flaps; Knight injured while exiting aircraft. Maximum Speed - 4618 kph. Maximum Altitude - 52730 m. Air dropped in Smith Ranch Lake DZ..
1967 July 20 - . 17:11 GMT - . Launch Site: Edwards. Launch Complex: Hidden Hills DZ. Launch Pad: Edwards RW04/22. Launch Platform: NB-52 008. X-15A HT/Guid/Telem test - . Nation: USA. Agency: NASA, USAF. Spacecraft: X-15A. Apogee: 25 km (15 mi). Maximum Speed - 5942 kph. Maximum Altitude - 25720 m. Air dropped in Hidden Hills DZ..
1967 August 7 - . Launch Site: Edwards. Launch Complex: Edwards RW04/22. Launch Pad: Edwards. Launch Platform: NB-52. X-15A-2 Ramjet flow test - . Nation: USA. Agency: NASA, USAF. Spacecraft Bus: X-15A. Spacecraft: X-15A-2. Apogee: 14 km (8 mi). X-15 captive flight (Ramjet flow). 1967 August 11 - . Launch Site: Edwards. Launch Complex: Edwards RW04/22. Launch Pad: Edwards. Launch Platform: NB-52. FAILURE: Failure. X-15A-2 Ramjet flow test - . Nation: USA. Agency: NASA, USAF. Spacecraft Bus: X-15A. Spacecraft: X-15A-2. Apogee: 14 km (8 mi). X-15 aborted launch (Ramjet flow). 1967 August 16 - . Launch Site: Edwards. Launch Complex: Edwards RW04/22. Launch Pad: Edwards. Launch Platform: NB-52. FAILURE: Failure. 1967 August 21 - . 17:59 GMT - . Launch Site: Edwards. Launch Complex: Hidden Hills DZ. Launch Pad: Edwards RW04/22. Launch Platform: NB-52 008. X-15A-2 Ramjet/Hycon/TPS Test/Imaging mission? - . Nation: USA. Agency: NASA, USAF. Spacecraft Bus: X-15A. Spacecraft: X-15A-2. Apogee: 27 km (16 mi). First test with full ablative coating, ramjet pod. Maximum Speed - 5419 kph. Maximum Altitude - 27740 m. Air dropped in Hidden Hills DZ..
1967 August 25 - . 20:27 GMT - . Launch Site: Edwards. Launch Complex: Hidden Hills DZ. Launch Pad: Edwards RW04/22. Launch Platform: NB-52 003. X-15A Guid/HT/BLN test - . Nation: USA. Agency: NASA, USAF. Spacecraft: X-15A. Apogee: 25 km (15 mi). Maximum Speed - 5012 kph. Maximum Altitude - 25720 m. Air dropped in Hidden Hills DZ..
1967 September 22 - . Launch Site: Edwards. Launch Complex: Edwards RW04/22. Launch Pad: Edwards. Launch Platform: NB-52. FAILURE: Failure. 1967 October 3 - . 21:31 GMT - . Launch Site: Edwards. Launch Complex: Mud Lake DZ. Launch Pad: Edwards RW04/22. Launch Platform: NB-52 008. FAILURE: Heat flow from dummy ramjet nearly burns tail off..
X-15A-2 TPS/Ramjet/Mach 6.7 test - . Nation: USA. Agency: NASA, USAF. Spacecraft Bus: X-15A. Spacecraft: X-15A-2. Apogee: 31 km (19 mi). Unofficial world speed record (full ablative coating, dummy ramjet, mechanical eyelid). Maximum Speed - 7273 kph. Maximum Altitude - 31120 m. Air dropped in Mud Lake DZ..
1967 October 4 - . 17:16 GMT - . Launch Site: Edwards. Launch Complex: Smith Ranch Lake DZ. Launch Pad: Edwards RW04/22. Launch Platform: NB-52 003. X-15A UV Plume/Solar/MM Technology/Meteor/Solar mission - . Nation: USA. Agency: NASA, USAF. Spacecraft: X-15A. Apogee: 76 km (47 mi). Maximum Speed - 7270 kph. Maximum Altitude - 76530 m. Air dropped in Smith Ranch Lake DZ..
1967 October 17 - . 16:40 GMT - . Launch Site: Edwards. Launch Complex: Smith Ranch Lake DZ. Launch Pad: Edwards RW04/22. Launch Platform: NB-52 008. X-15A UVPL/Solar/MM Technology/Meteor/Solar mission - . Nation: USA. Agency: NASA, USAF. Spacecraft: X-15A. Apogee: 85 km (52 mi). Maximum Speed - 6204 kph. Maximum Altitude - 85500 m. Astronaut wings flight (USAF definition). Air dropped in Smith Ranch Lake DZ..
1967 October 31 - . Launch Site: Edwards. Launch Complex: Edwards RW04/22. Launch Pad: Edwards. Launch Platform: NB-52. FAILURE: Failure. 1967 November 15 - . 18:30 GMT - . Launch Site: Edwards. Launch Complex: Delamar Dry Lake DZ. Launch Pad: Edwards RW04/22. Launch Platform: NB-52 008. FAILURE: Failure. X-15A UVPL/Solar/MM/SA TPS Technology/Meteor/Solar mission - . Nation: USA. Agency: NASA, USAF. Spacecraft: X-15A. Apogee: 81 km (50 mi). Fatal accident, aircraft destroyed. After reaching peak altitude, entered spin at Mach 5. Entered dive at 30,000 m, began high frequency pitch oscillations, disintegrated when these reached 15 Gs.Maximum Speed - 5744 kph. Maximum Altitude - 81080 m. Air dropped in Delamar Dry Lake DZ. 1968 February 6 - . Launch Site: Edwards. Launch Complex: Edwards RW04/22. Launch Pad: Edwards. Launch Platform: NB-52. 1968 February 7 - . Launch Site: Edwards. Launch Complex: Edwards RW04/22. Launch Pad: Edwards. Launch Platform: NB-52. FAILURE: Failure. 1968 February 27 - . Launch Site: Edwards. Launch Complex: Edwards RW04/22. Launch Pad: Edwards. Launch Platform: NB-52. FAILURE: Failure. 1968 March 1 - . 19:28 GMT - . Launch Site: Edwards. Launch Complex: Hidden Hills DZ. Launch Pad: Edwards RW04/22. Launch Platform: NB-52 008. X-15A Checkout mission - . Nation: USA. Agency: NASA, USAF. Spacecraft: X-15A. Apogee: 31 km (19 mi). Maximum Speed - 4631 kph. Maximum Altitude - 31850 m. Tested Saturn V insulation. Air dropped in Hidden Hills DZ..
1968 March 28 - . Launch Site: Edwards. Launch Complex: Edwards RW04/22. Launch Pad: Edwards. Launch Platform: NB-52. FAILURE: Failure. 1968 April 4 - . Launch Site: Edwards. Launch Complex: Edwards RW04/22. Launch Pad: Edwards. Launch Platform: NB-52. FAILURE: Failure. 1968 April 4 - . 18:02 GMT - . Launch Site: Edwards. Launch Complex: Delamar Dry Lake DZ. Launch Pad: Edwards RW04/22. Launch Platform: NB-52 008. X-15A CO/WTR/SA TPS Test/Technology mission - . Nation: USA. Agency: NASA, USAF. Spacecraft: X-15A. Apogee: 57 km (35 mi). Maximum Speed - 5808 kph. Maximum Altitude - 57150 m. Air dropped in Delamar Dry Lake DZ..
1968 April 26 - . 19:51 GMT - . Launch Site: Edwards. Launch Complex: Delamar Dry Lake DZ. Launch Pad: Edwards RW04/22. Launch Platform: NB-52 008. X-15A SA TPS/HS Test/Technology mission - . Nation: USA. Agency: NASA, USAF. Spacecraft: X-15A. Apogee: 63 km (39 mi). Maximum Speed - 5704 kph. Maximum Altitude - 63090 m. Air dropped in Delamar Dry Lake DZ..
1968 May 23 - . Launch Site: Edwards. Launch Complex: Edwards RW04/22. Launch Pad: Edwards. Launch Platform: NB-52. FAILURE: Failure. Fixed Alpha Ball/WTR Test/Technology mission - . Nation: USA. Agency: NASA, USAF. Spacecraft: X-15A. Apogee: 14 km (8 mi). 1968 June 12 - . 15:31 GMT - . Launch Site: Edwards. Launch Complex: Smith Ranch Lake DZ. Launch Pad: Edwards RW04/22. Launch Platform: NB-52 008. X-15A WTR/SA TPS/HS/FAB Test/Technology mission - . Nation: USA. Agency: NASA, USAF. Spacecraft: X-15A. Apogee: 67 km (41 mi). Maximum Speed - 5733 kph. Maximum Altitude - 67090 m. Air dropped in Smith Ranch Lake DZ..
1968 July 15 - . Launch Site: Edwards. Launch Complex: Edwards RW04/22. Launch Pad: Edwards. Launch Platform: NB-52. FAILURE: Failure. Fluidic Probe/etc Test/Technology mission - . Nation: USA. Agency: NASA, USAF. Spacecraft: X-15A. Apogee: 14 km (8 mi). 1968 July 16 - . 22:23 GMT - . Launch Site: Edwards. Launch Complex: Railroad Valley Lake DZ. Launch Pad: Edwards RW04/22. Launch Platform: NB-52 003. X-15A WTR/HS/SB/FAB/FP Test/Technology/Aeronomy mission - . Nation: USA. Agency: NASA, USAF. Spacecraft: X-15A. Apogee: 67 km (41 mi). Maximum Speed - 5442 kph. Maximum Altitude - 67510 m. Air dropped in Railroad Valley Lake DZ..
1968 August 21 - . 16:04 GMT - . Launch Site: Edwards. Launch Complex: Railroad Valley Lake DZ. Launch Pad: Edwards RW04/22. Launch Platform: NB-52 003. X-15A WTR/HS/SB/FAB/FP Test/Technology/Aeronomy mission - . Nation: USA. Agency: NASA, USAF. Spacecraft: X-15A. Apogee: 81 km (50 mi). Maximum Speed - 5540 kph. Maximum Altitude - 81530 m. Astronaut wings flight (USAF definition). Air dropped in Railroad Valley Lake DZ..
1968 September 13 - . 18:19 GMT - . Launch Site: Edwards. Launch Complex: Smith Ranch Lake DZ. Launch Pad: Edwards RW04/22. Launch Platform: NB-52 003. X-15A WTR/HS/SB/FAB/FP Test/Technology/Aeronomy mission - . Nation: USA. Agency: NASA, USAF. Spacecraft: X-15A. Apogee: 77 km (47 mi). Maximum Speed - 5990 kph. Maximum Altitude - 77450 m. Air dropped in Smith Ranch Lake DZ..
1968 October 24 - . 17:02 GMT - . Launch Site: Edwards. Launch Complex: Smith Ranch Lake DZ. Launch Pad: Edwards RW04/22. Launch Platform: NB-52 003. X-15A WTR/HS/FAB/FP Test/Technology/Aeronomy mission - . Nation: USA. Agency: NASA, USAF. Spacecraft: X-15A. Apogee: 77 km (47 mi). Last flight. Maximum Speed - 5979 kph. Maximum Altitude - 77720 m. Air dropped in Smith Ranch Lake DZ..
1968 December 12 - . Launch Site: Edwards. Launch Complex: Edwards RW04/22. Launch Pad: Edwards. Launch Platform: NB-52. FAILURE: Failure. X-15A Test/Technology/Aeronomy mission - . Nation: USA. Agency: NASA, USAF. Spacecraft: X-15A. Apogee: 14 km (8 mi). Attempted 200t flight, and last launch attempt of the programme..